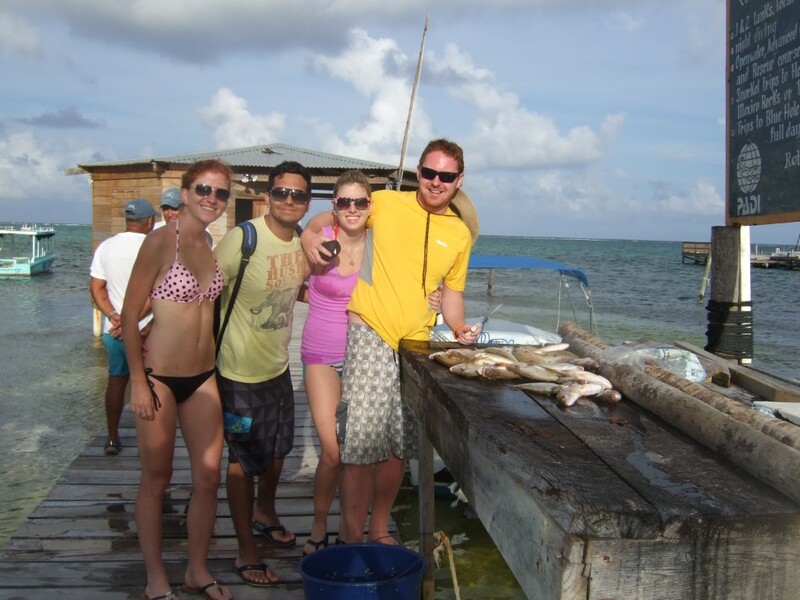 Ambergris Caye is one of the most incredible destinations in Belize and the friendly staff of Parham Plaza Hotel is here to help you explore everything the island has to offer. 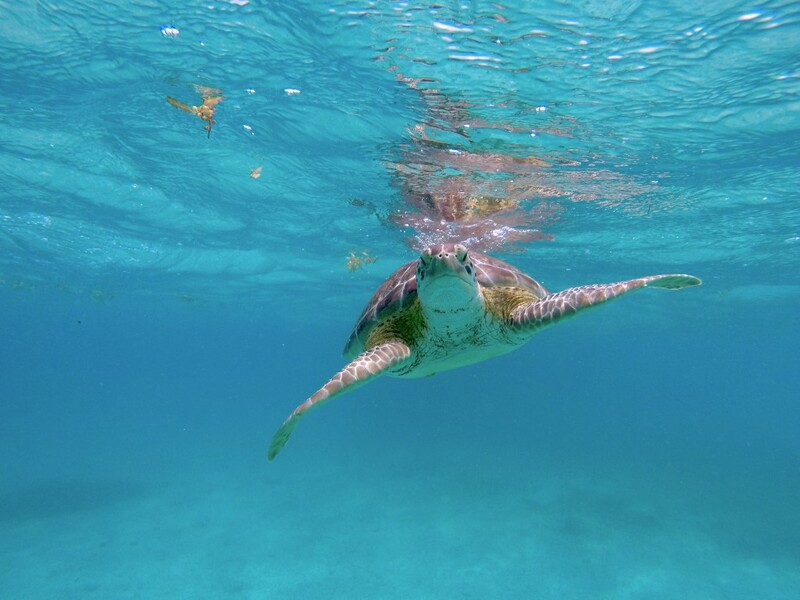 The world’s second largest barrier reef runs parallel to the island just half a mile to the east of its white sandy shores. 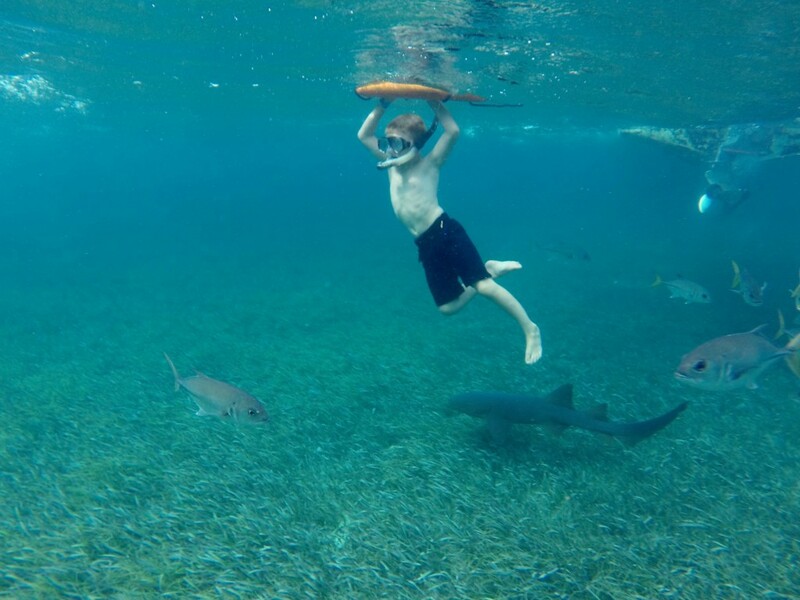 This makes it the perfect place to try out a variety of sea tours, like diving, snorkeling, or fishing. 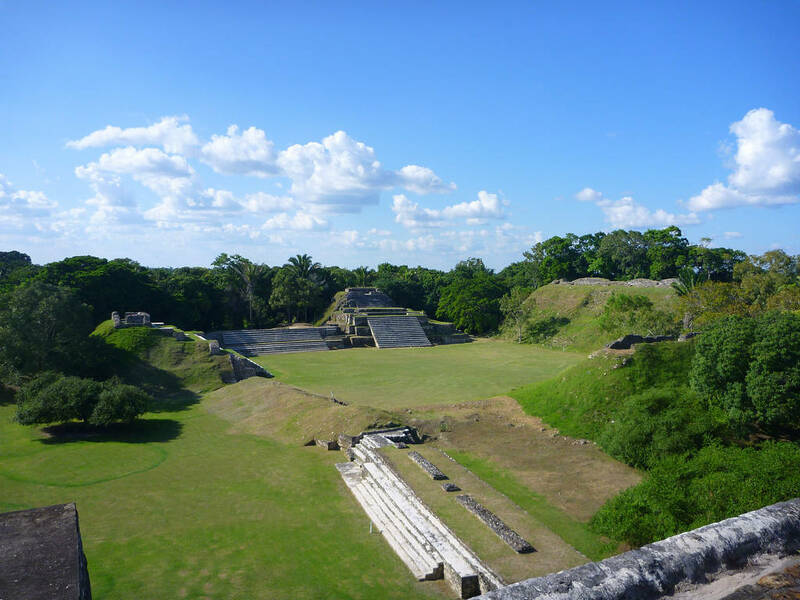 We can also help you arrange day trips to the mainland, which include activities like cave tubing and exploring Mayan ruins. 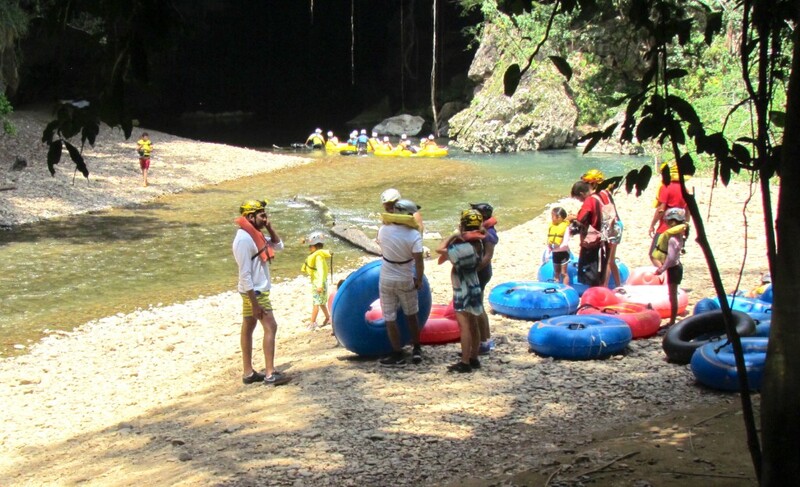 Whatever activity you choose, you’re guaranteed to have an unforgettable experience! 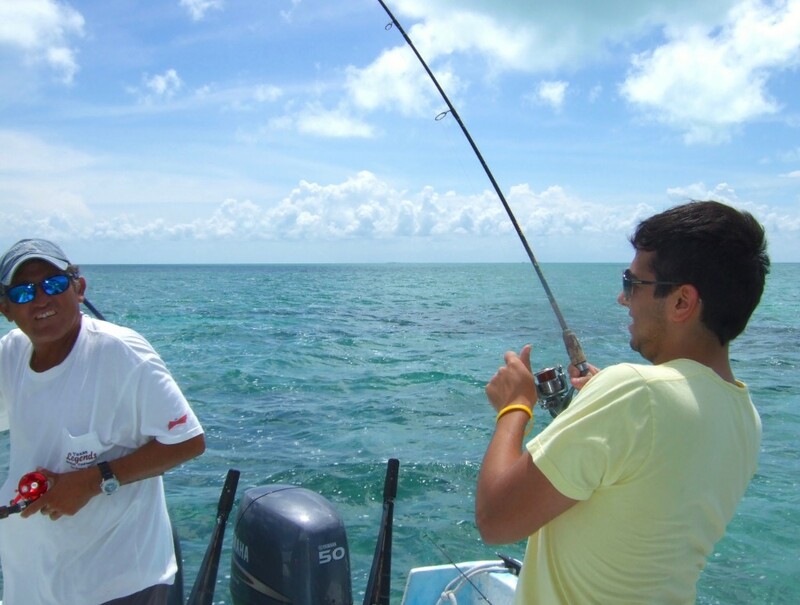 We only work with the best guides, who are outgoing and attentive and take pride in their country and its environment. 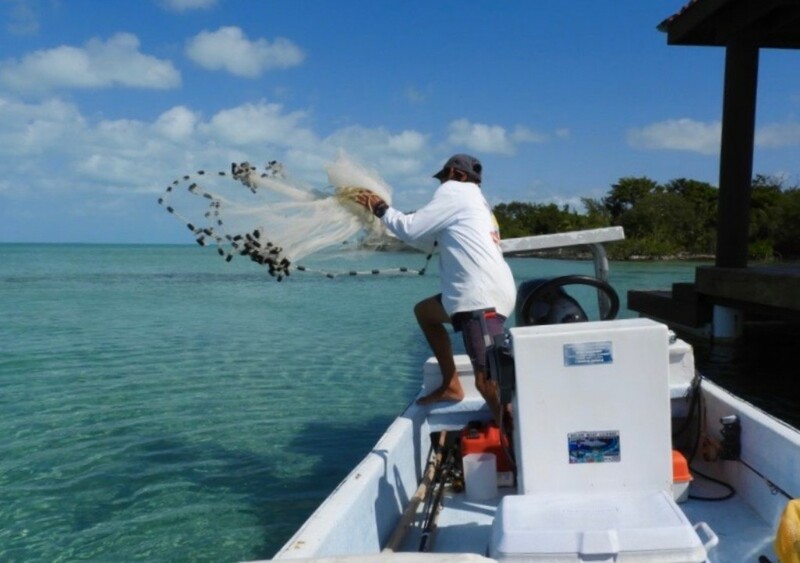 They are dedicated to protecting the coral reef and Belizean wildlife so that visitors may continue to enjoy and appreciate this little world of ours, Belize. 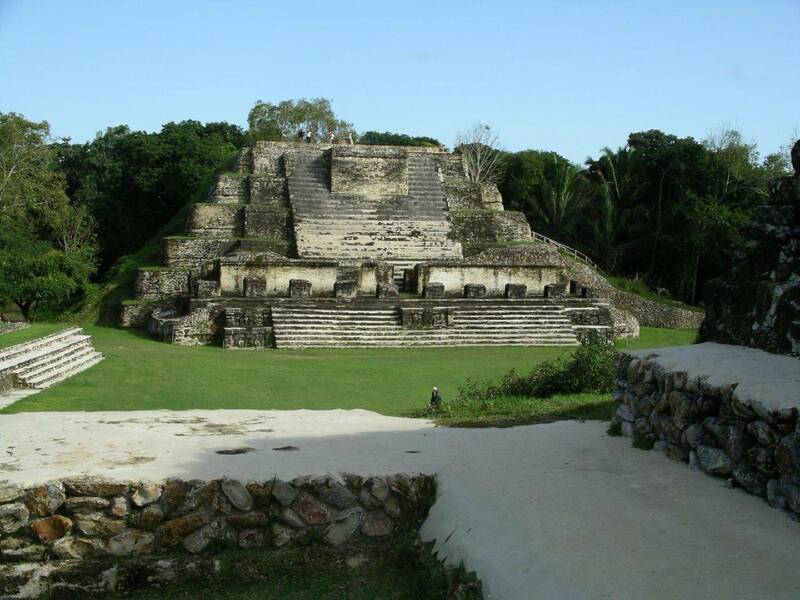 They are also some of the most knowledgeable guides on the history and culture of the ancient Maya. 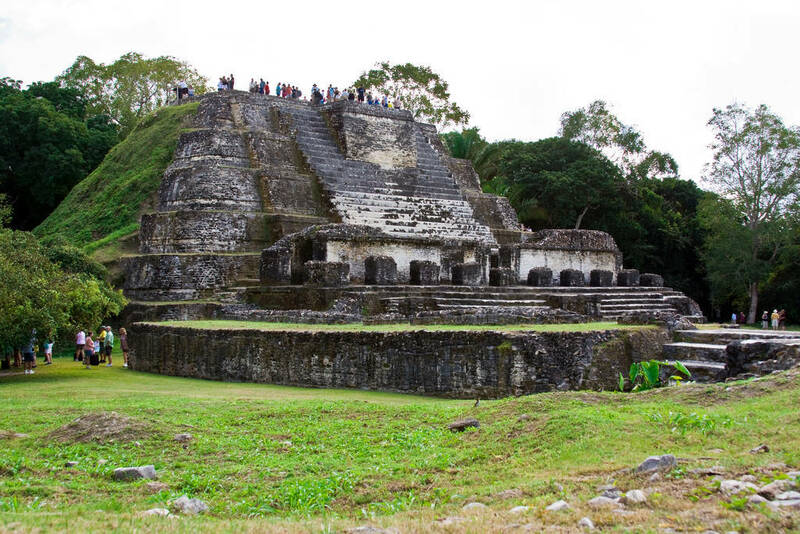 We are committed to organizing the most professional and memorable tours possible for our guests, so you will not only have an exciting adventure but a fascinating learning experience too. 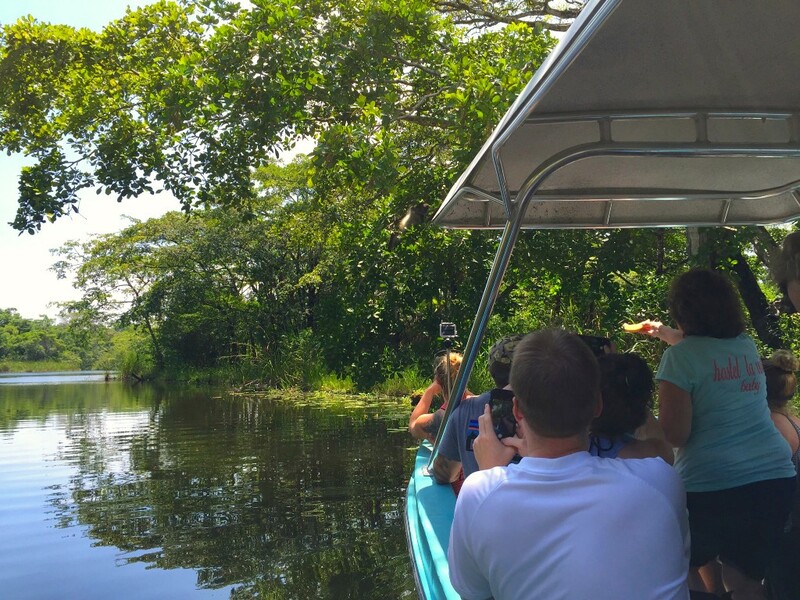 Our guests’ comfort and safety is of utmost importance to us and all of our tours include a variety of refreshments, such as water, juice, sodas, and rum punch. 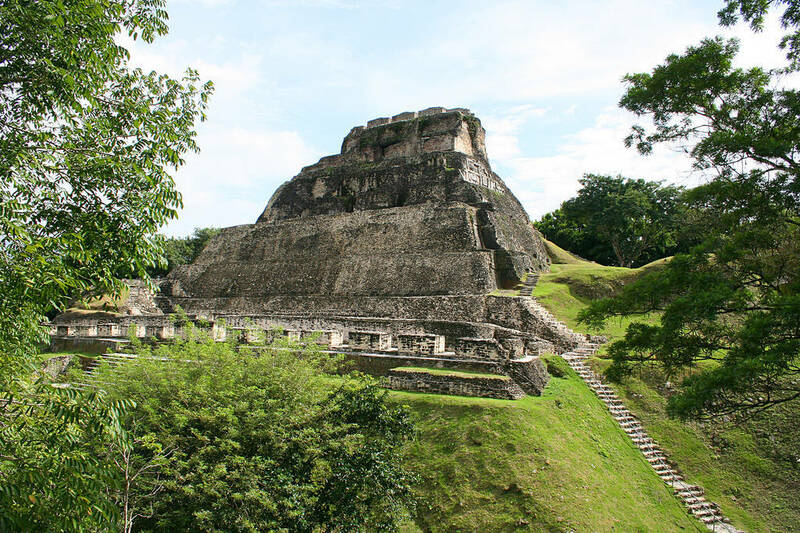 So whether your thirst for adventure takes you inland to the thick tropical rainforest of Belize or to the spectacular marine world of the Belize Barrier Reef, Belize has something for everyone. Get ready for the experience of a lifetime! 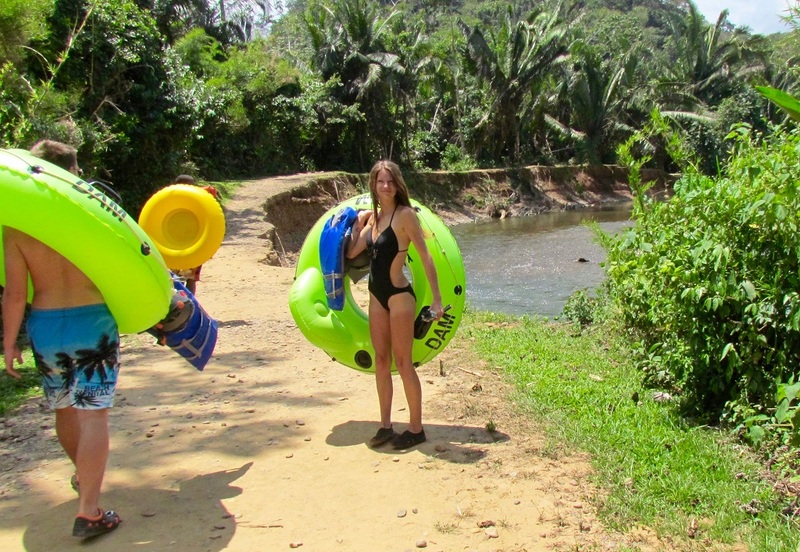 Cave tubing is an excellent adventure for your vacation in Belize. 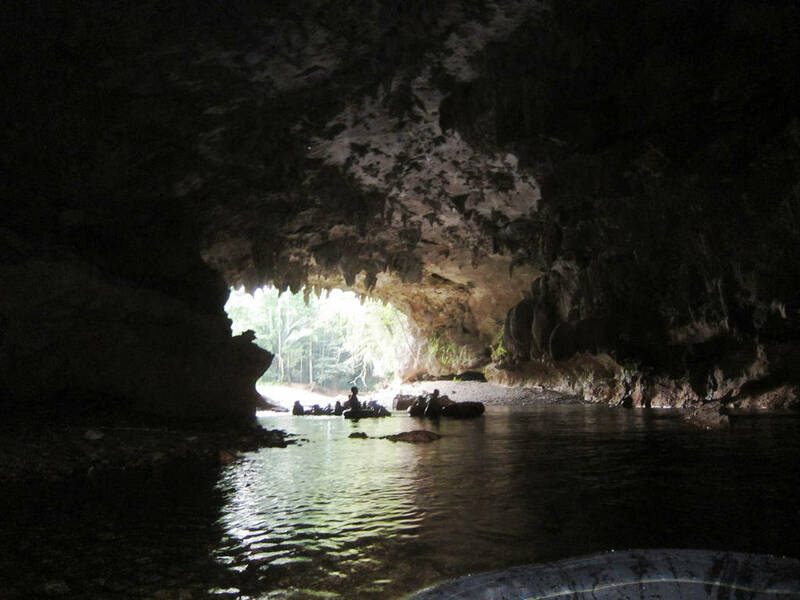 During this experience, you will float through the river cave systems and get a glimpse of the Mayan underworld on an inner tube. 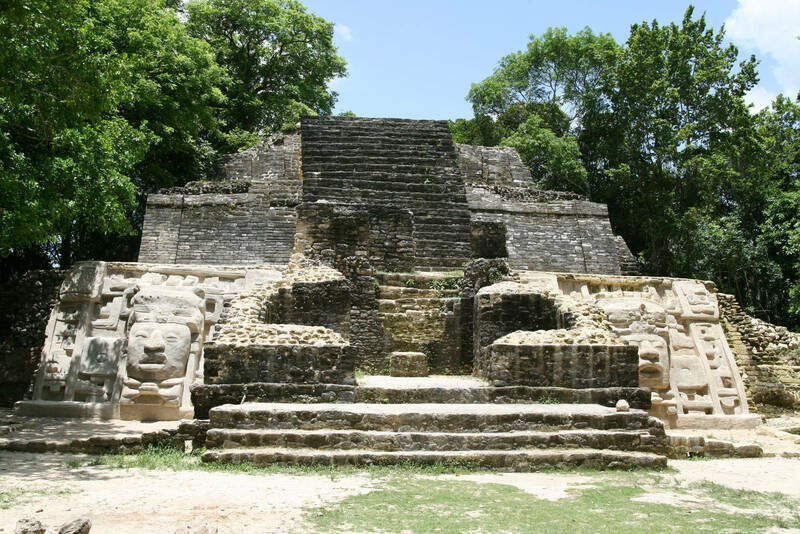 Immerse yourself in the Mayan world and learn about their history, culture, and beliefs. 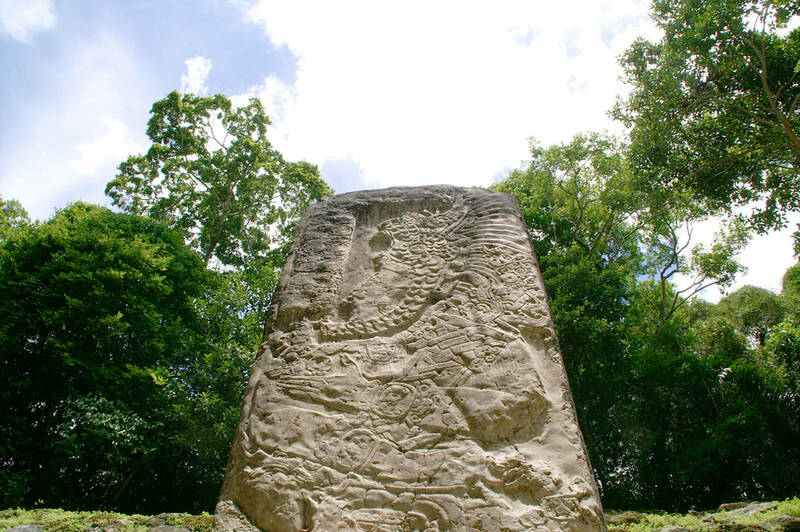 The Mayas believed that caves were portals to the underworld where their many Gods resided. 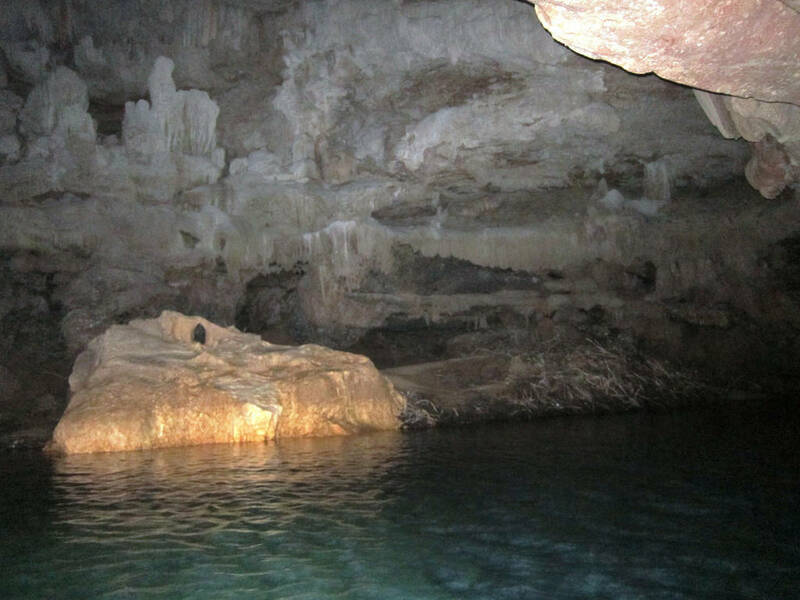 These cave systems were held sacred to them and they were used for several ritualistic purposes. 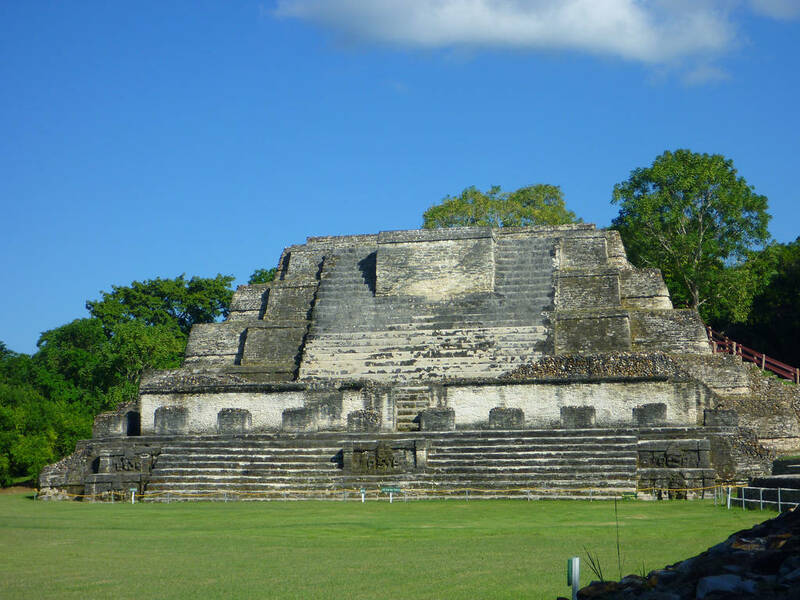 This tour is usually coupled with one or more other excellent jungle tours, such as zip lining or visiting Mayan temples. 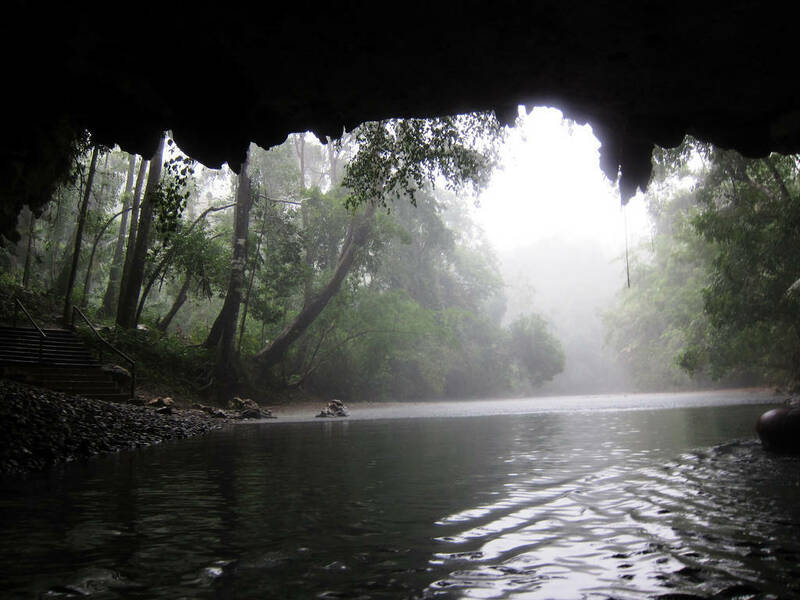 Before getting on the river, you will be taken through some dry caves where you can admire different stalactites, stalagmites and crystal formations. 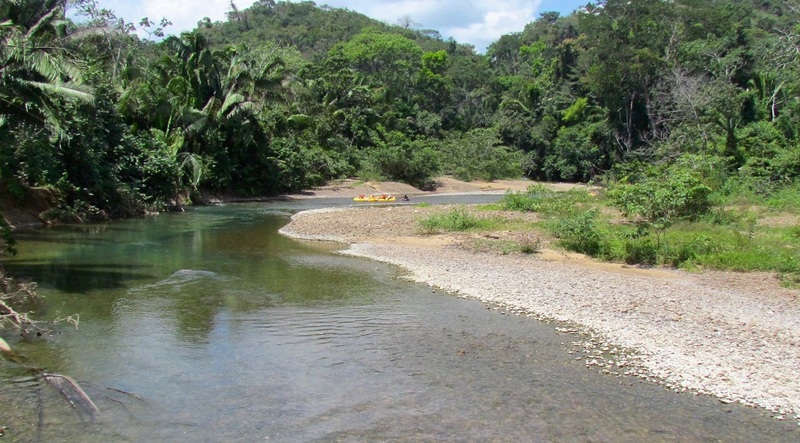 Then it’s just a short hike down through the jungle to reach the river. 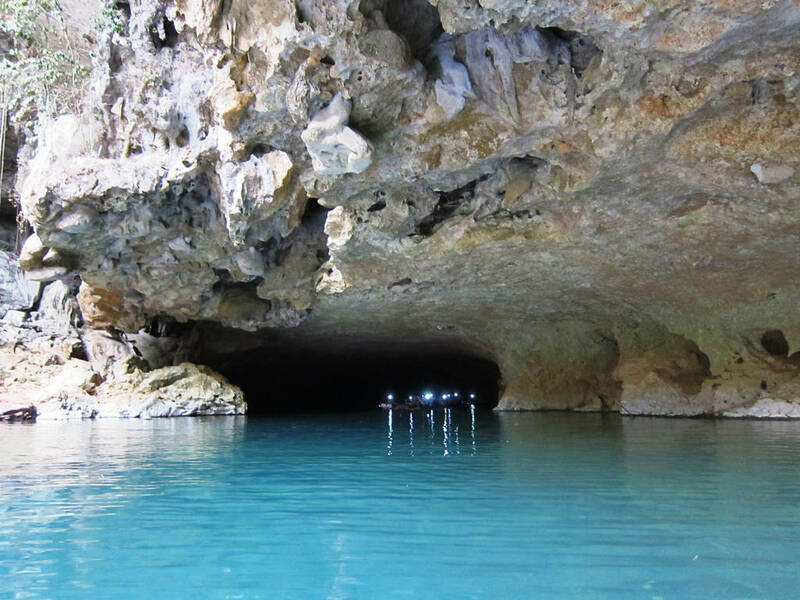 From there, you get on your inflatable tube equipped with a headlight and let the currents of the river take you through the cave system, where you will see some even more awesome cave formations. Prices are per person. All prices are in U.S. Dollars. 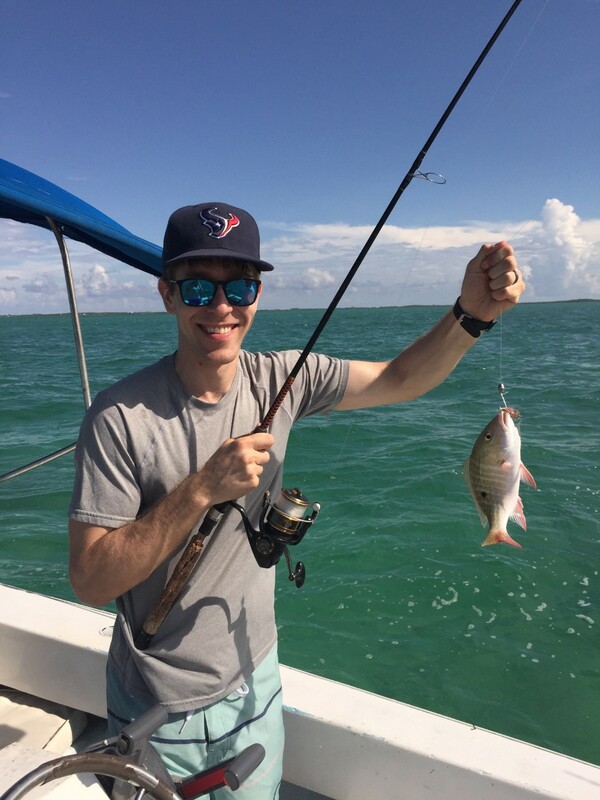 For the fishing enthusiast, there are several types of fishing to choose from, including deep sea fishing, reef fishing, or fly fishing. 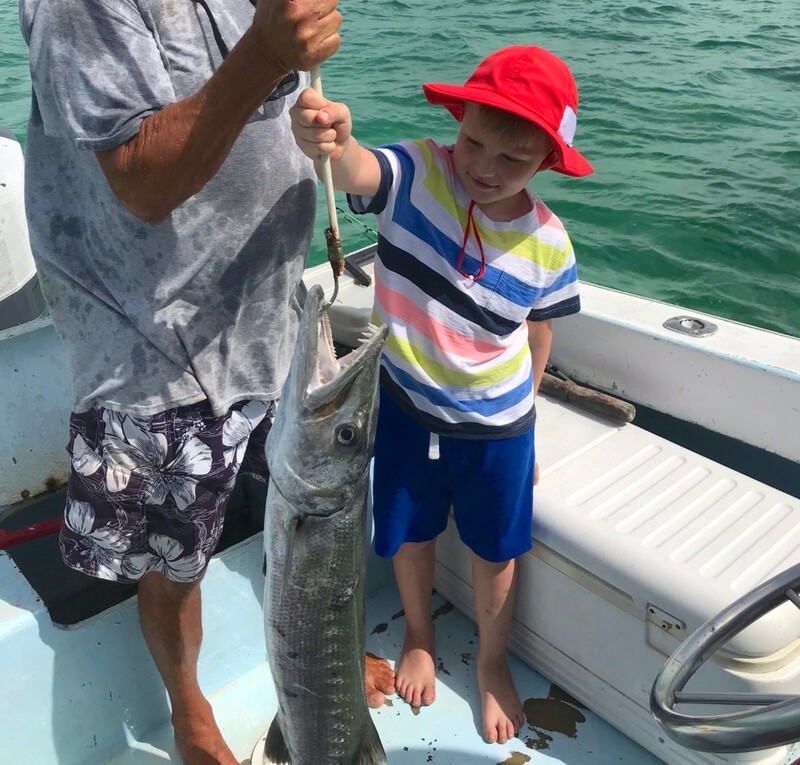 Although fishing is seen as a lucky sport, we work with several experienced tour guides who know the best spots to catch the fish that you are after. 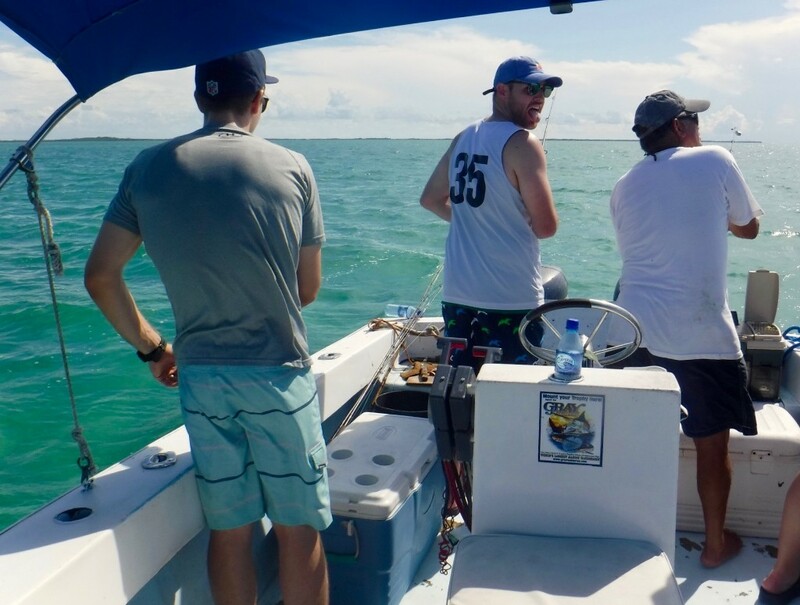 Whether you’re deep in the blue waters of the Caribbean Sea, low on the flats, or dropping a line on the reef, be assured that you will be guided by a professional fisherman. 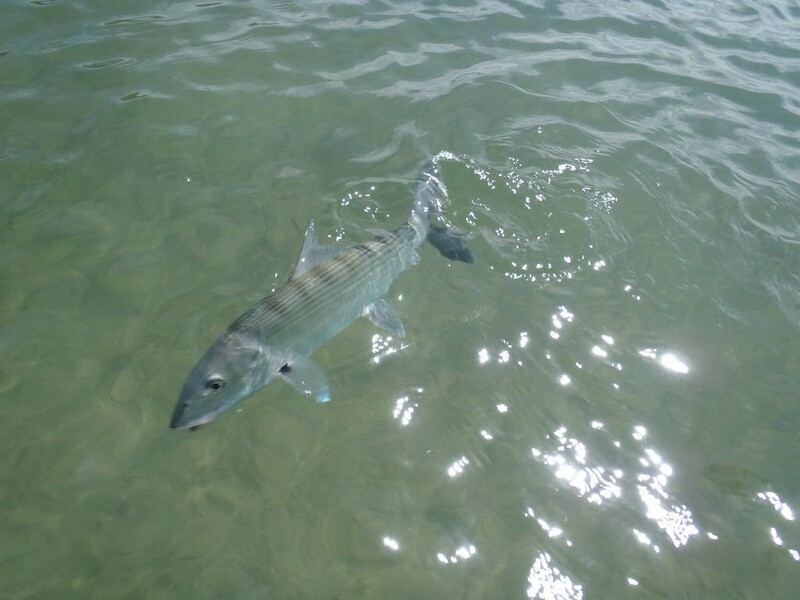 Water, gear, and bait are included. 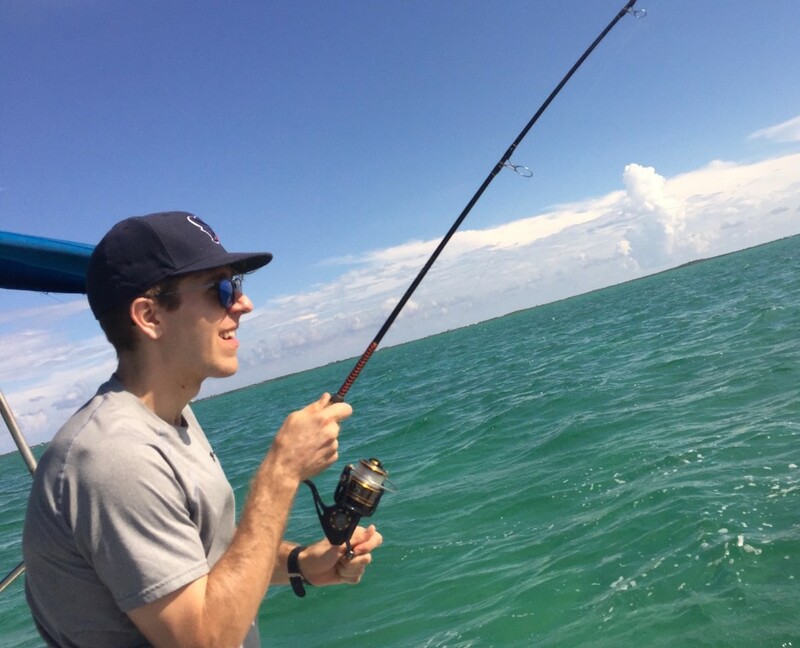 Prices are for the entire boat. Maximum number of passengers varies depending on availability. All prices are in U.S. Dollars. 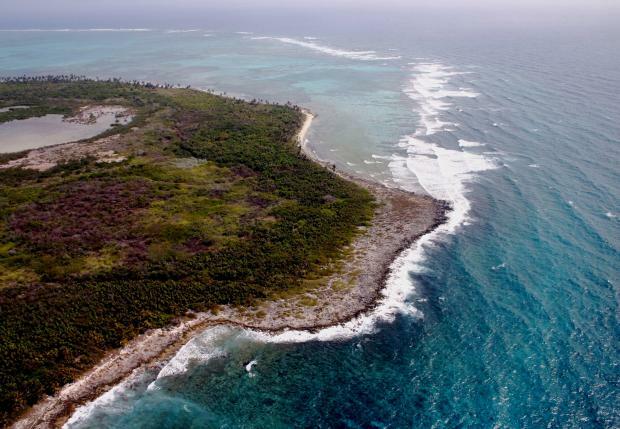 This jungle island adventure takes you to the northern tip of Ambergris Caye where the reef meets the land. 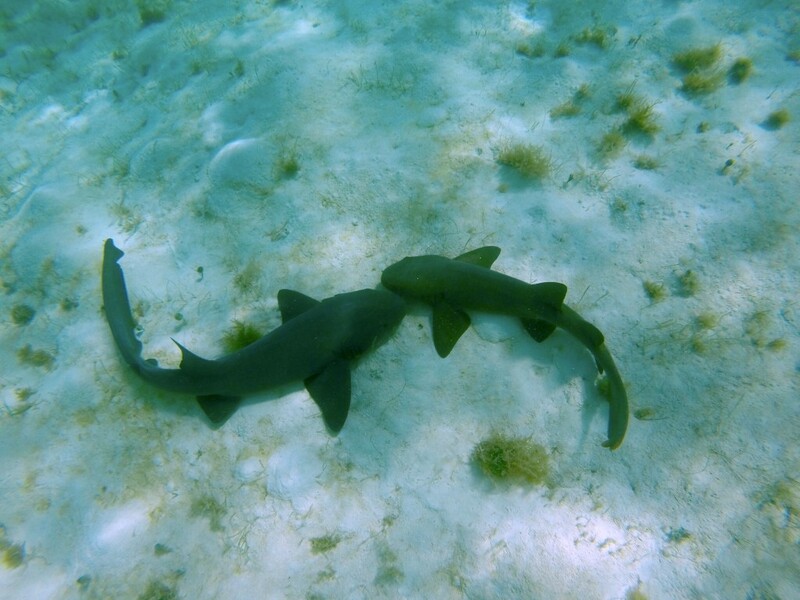 This unique place is called Rocky Point and is part of the Bacalar Chico National Park and Marine Reserve. 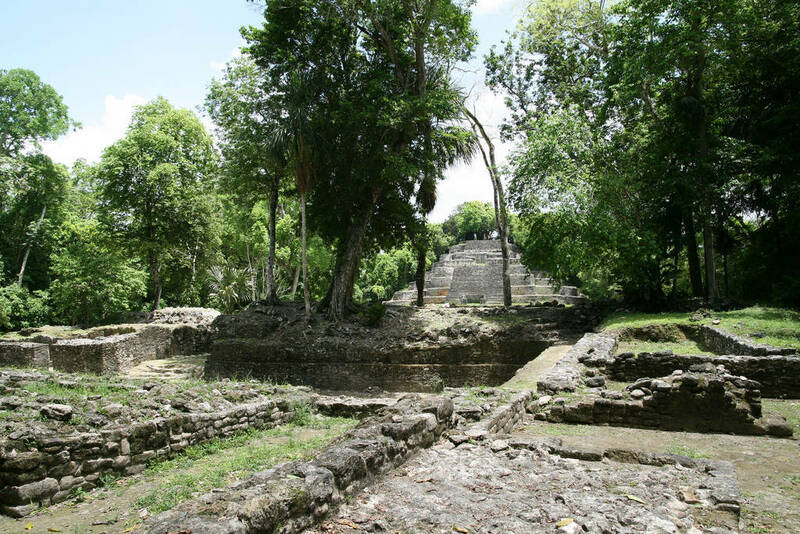 If you ever wondered how San Pedro looked 20 years ago, this is a great trip for you. 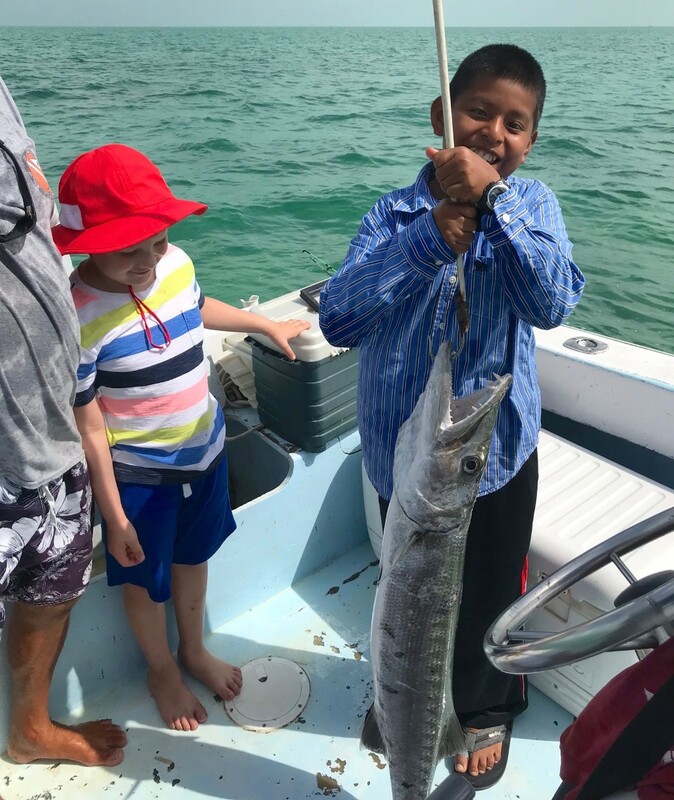 During this full day trip, you will have the opportunity to fish for your lunch, snorkel on the reef, and enjoy a delicious barbecue on the beach. 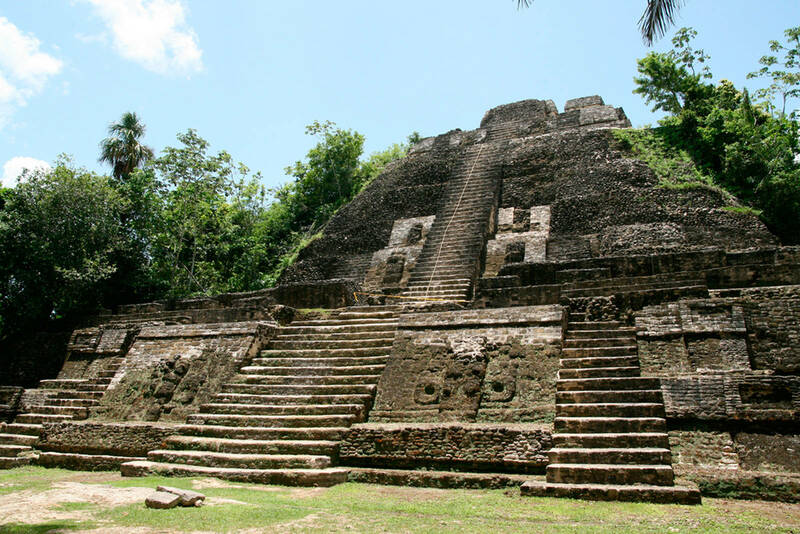 If you are intrigued by the world of the ancient Maya and would like to know more about their culture and the history of Belize, this tour is a must for you. 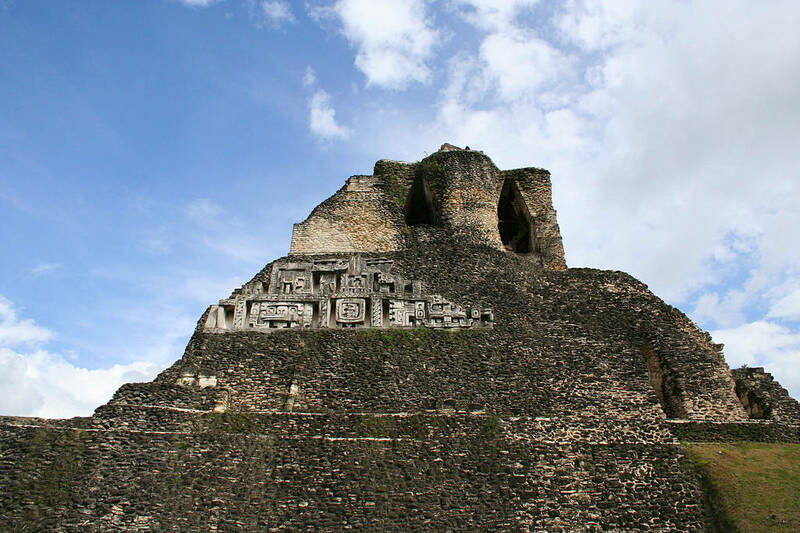 The Mayan people first inhabited the area that is now Belize thousands of years ago. 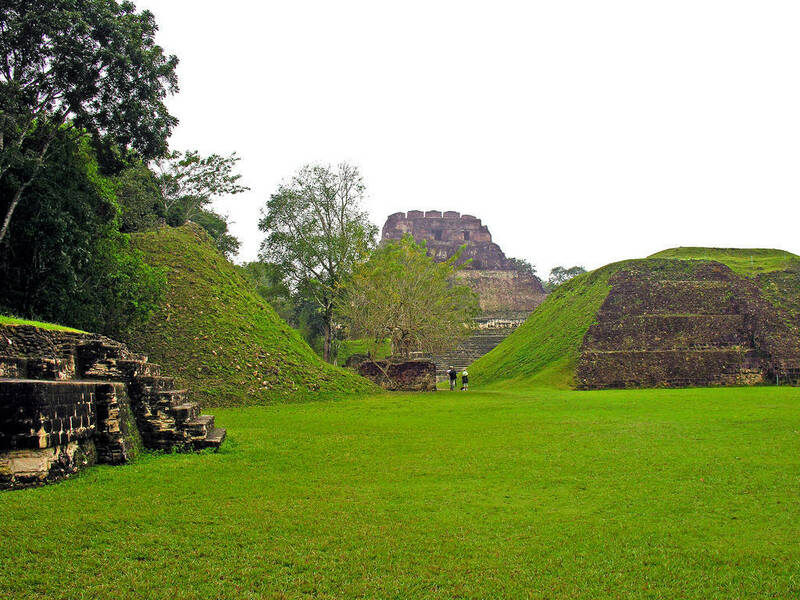 The land of Belize is like a museum in itself where you can view ancient Mayan cities and temples where the Maya lived. 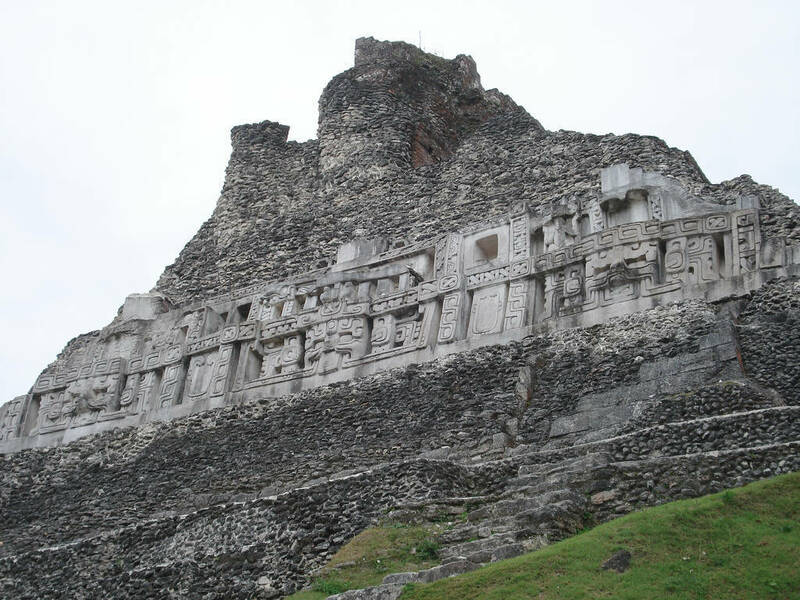 There are countless cities and temples scattered throughout Belize, many of which have not even been excavated or even discovered. 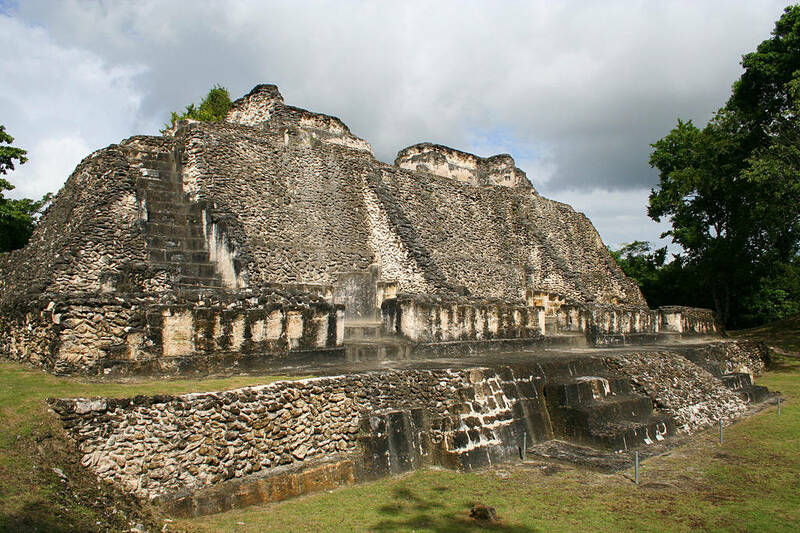 There are several sites that have been extensively excavated and researched and are accessible by day trip from Ambergris Caye. 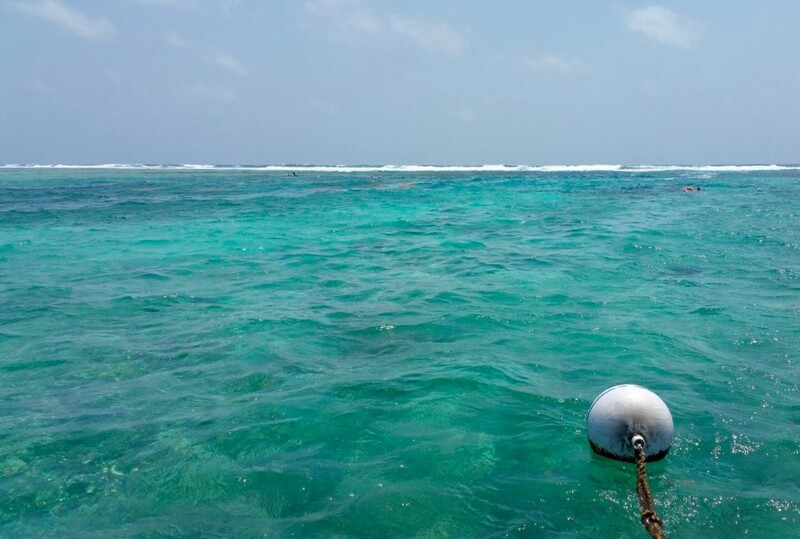 There are several options for sailing around San Pedro. 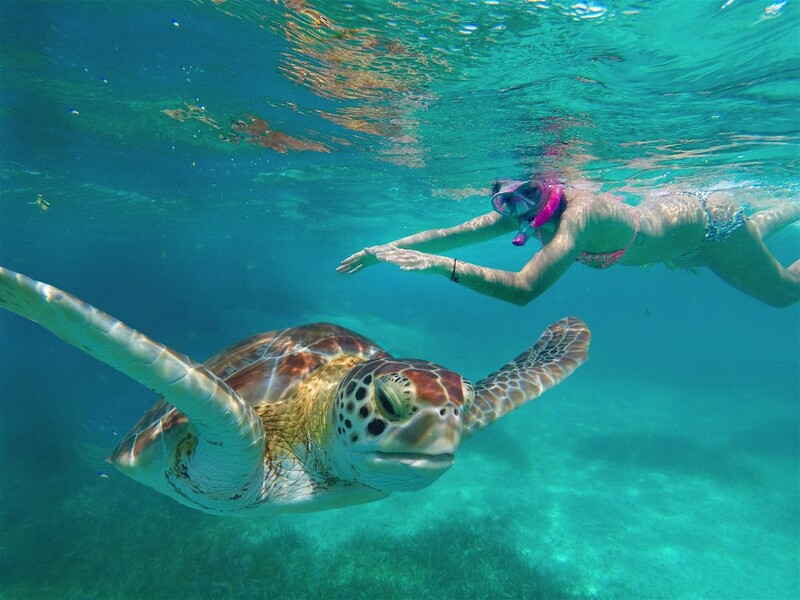 For a full day out on the water with the maximum snorkeling experience, get on board a 53-foot long sailboat and explore the beautiful Belize Barrier Reef. 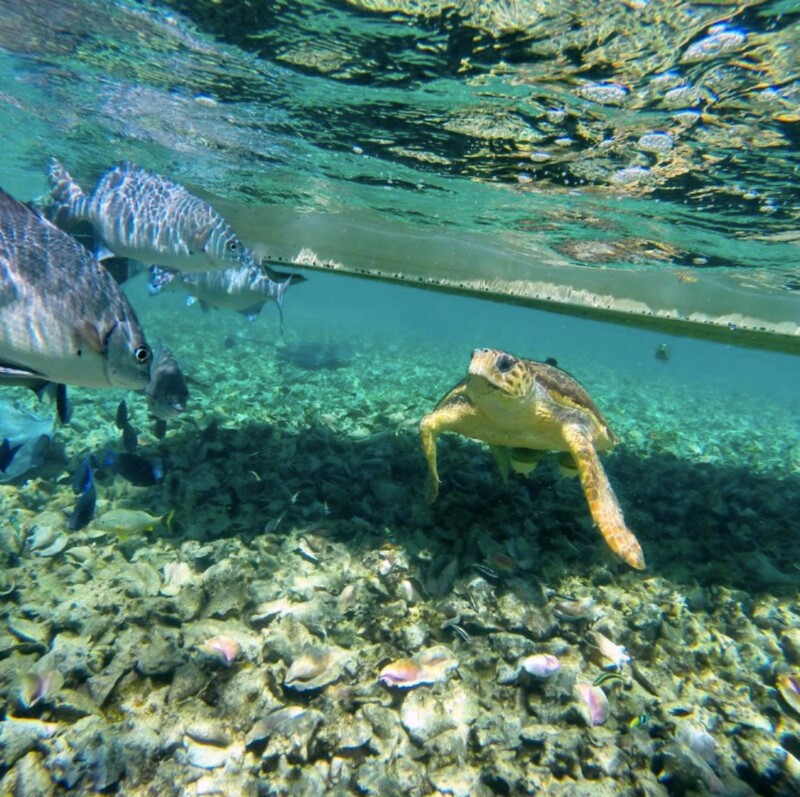 This boat will take you to four snorkeling stops, including some of the best spots in the world. 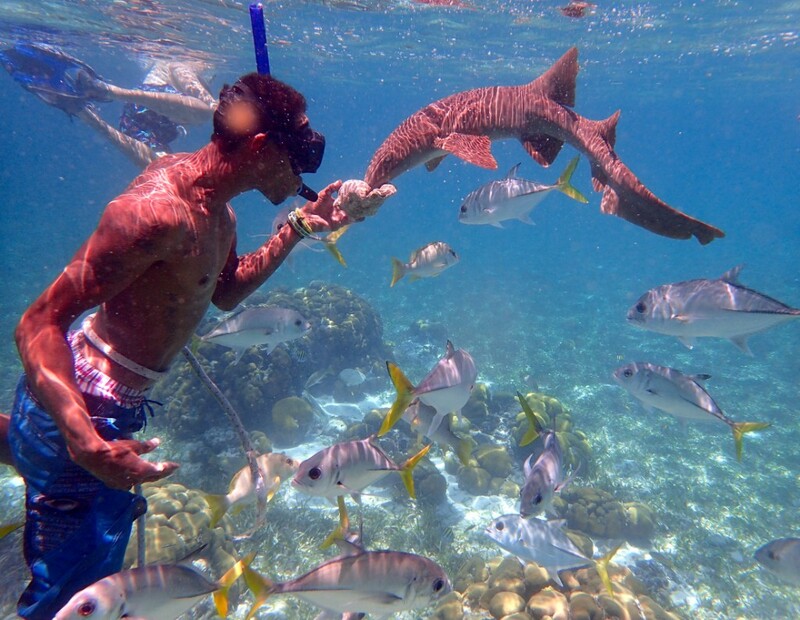 While you snorkel at the first stop, Coral Gardens, the guides will spear some fish or lobster for your lunch. 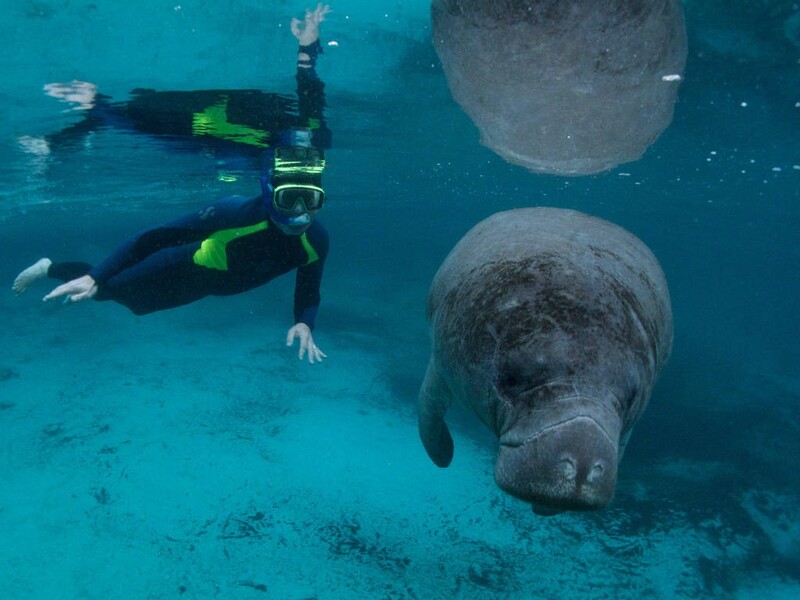 Next, you will move on to the Manatee Lookout to swim with manatees. 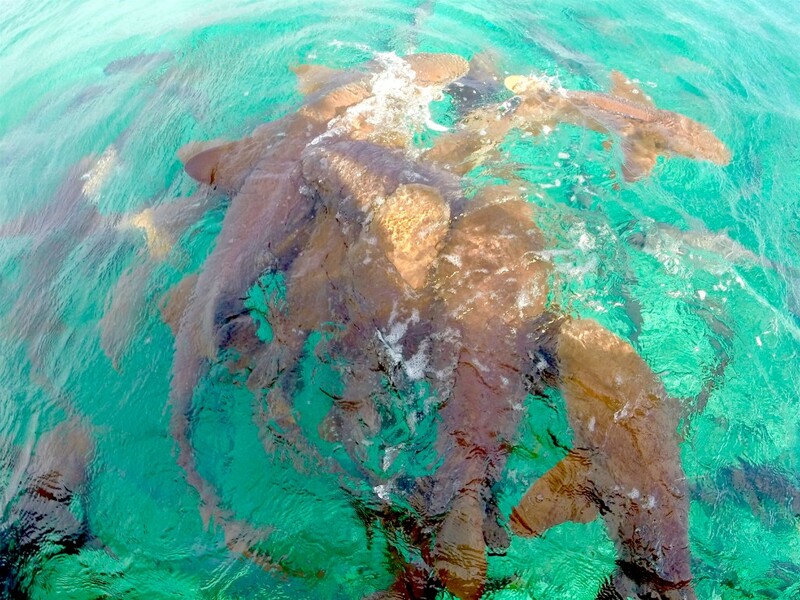 After lunch, you will go to Shark Ray Alley where you will have the exhilarating chance to swim with nurse sharks and stingrays. Don’t worry, they’re not dangerous! 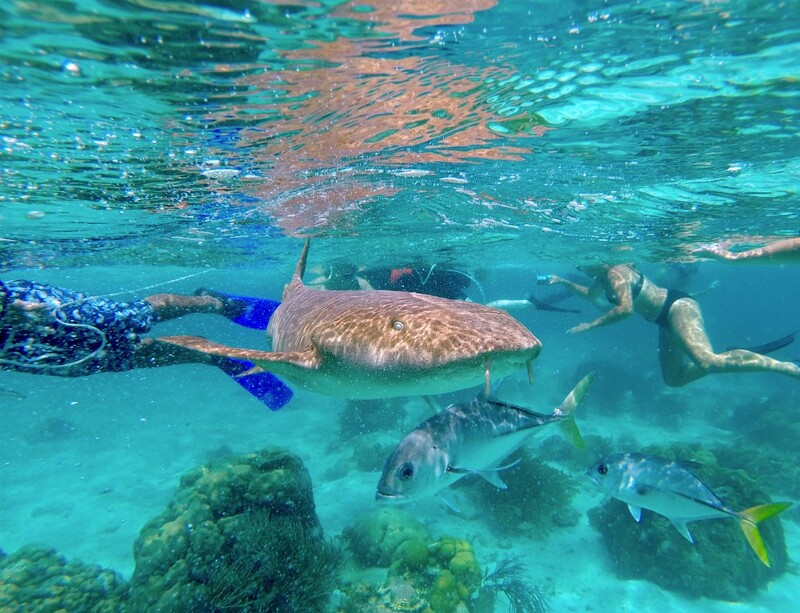 The last stop, the Hol Chan Marine Reserve, is the best snorkeling spot in all of Belize and is even rated the second best snorkeling spot in the entire world. 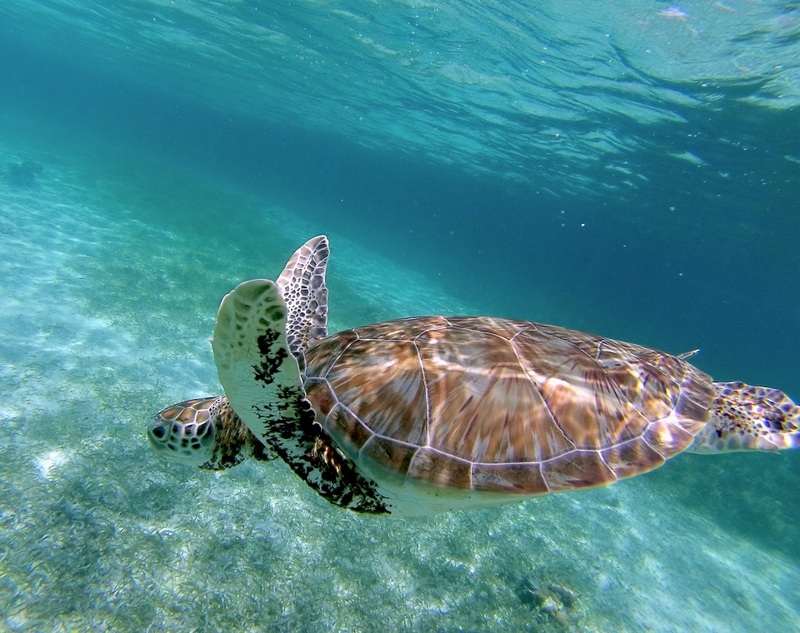 Here you can see over 256 different species of marine life, including sea turtles, eagle rays, huge grouper fish, and more. 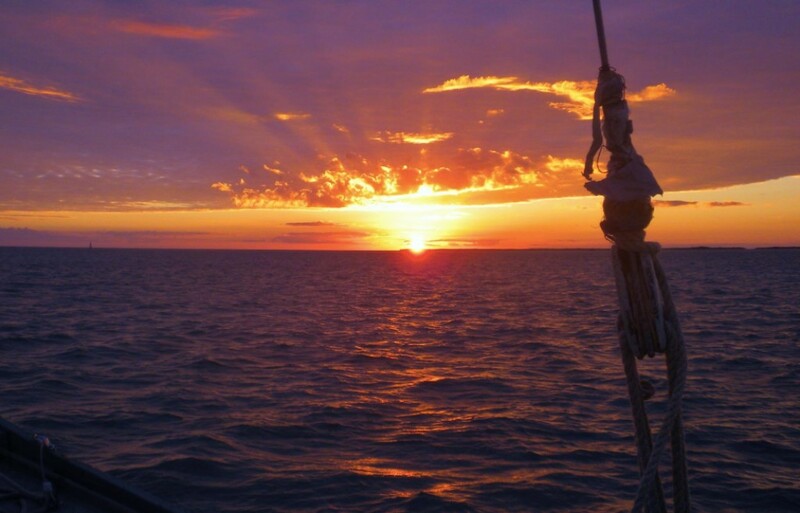 After the last stop, you can relax and cruise back to San Pedro while watching the breathtaking sunset. 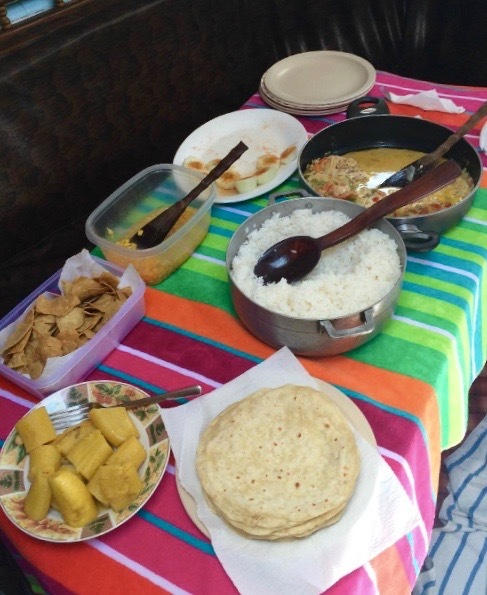 Lunch: Along with freshly caught fish or lobster, you will get to try some delicious traditional Belizean side dishes. Lobster is included when in season and depending on availability. 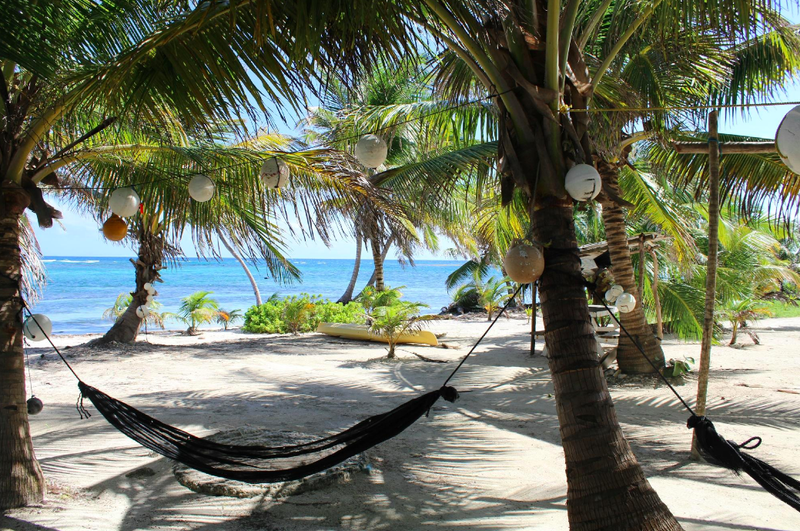 Park fees, equipment, and unlimited rum punch are also included. 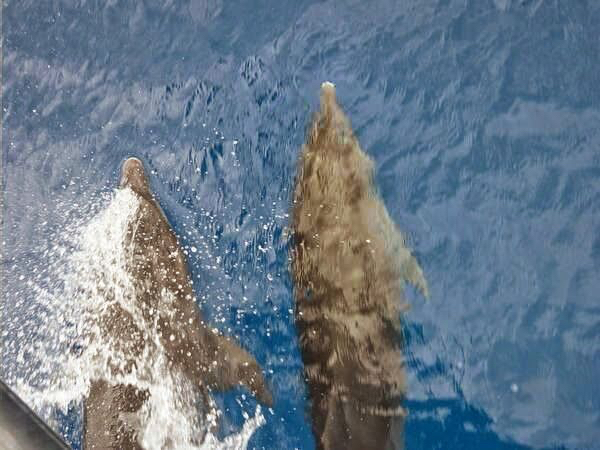 A Maximum of 12 people are allowed on the boat. 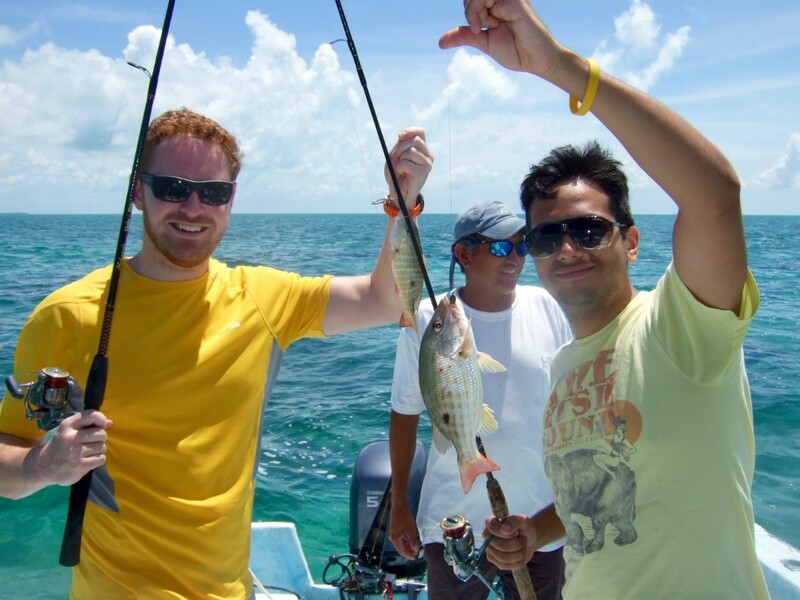 Charters: We also provide charters for groups for $1500 US. 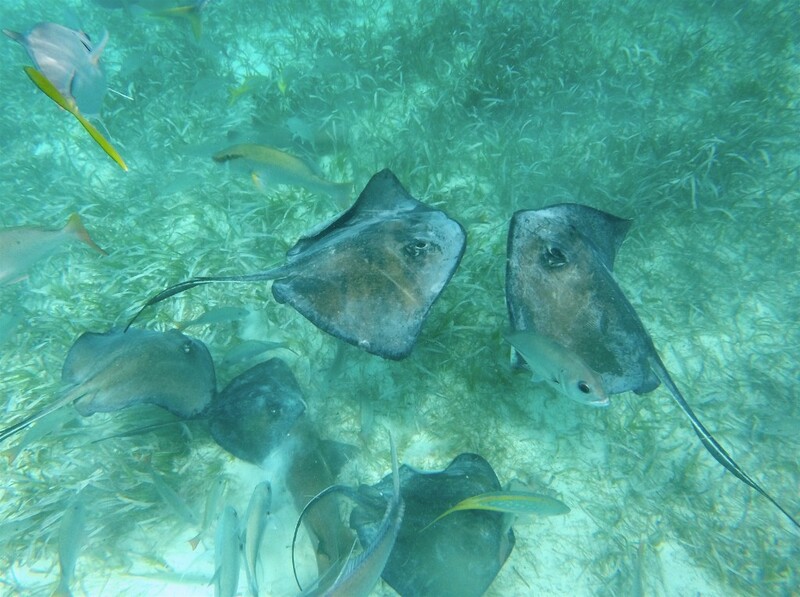 Begin your day by sailing to Hol Chan Marine Reserve and Shark Ray Alley. 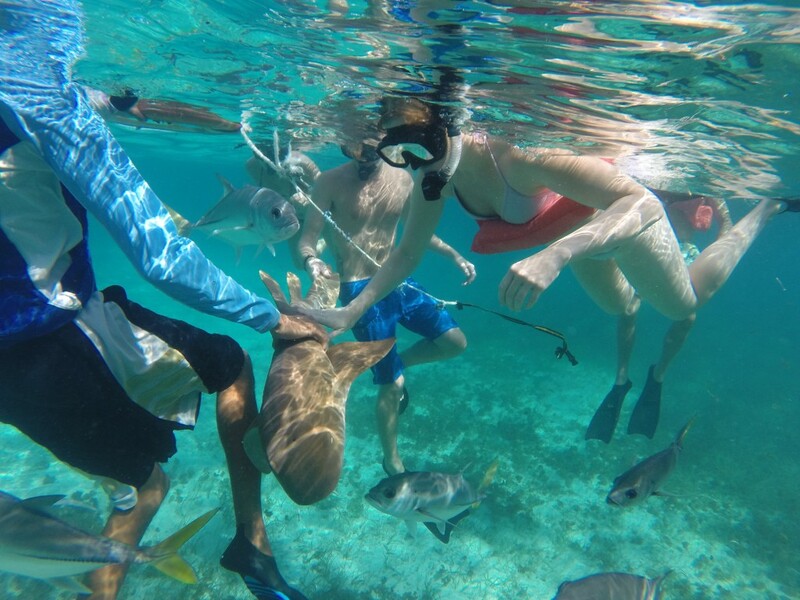 You will enjoy a guided snorkel through the Marine Reserve and neighboring Shark Ray Alley. 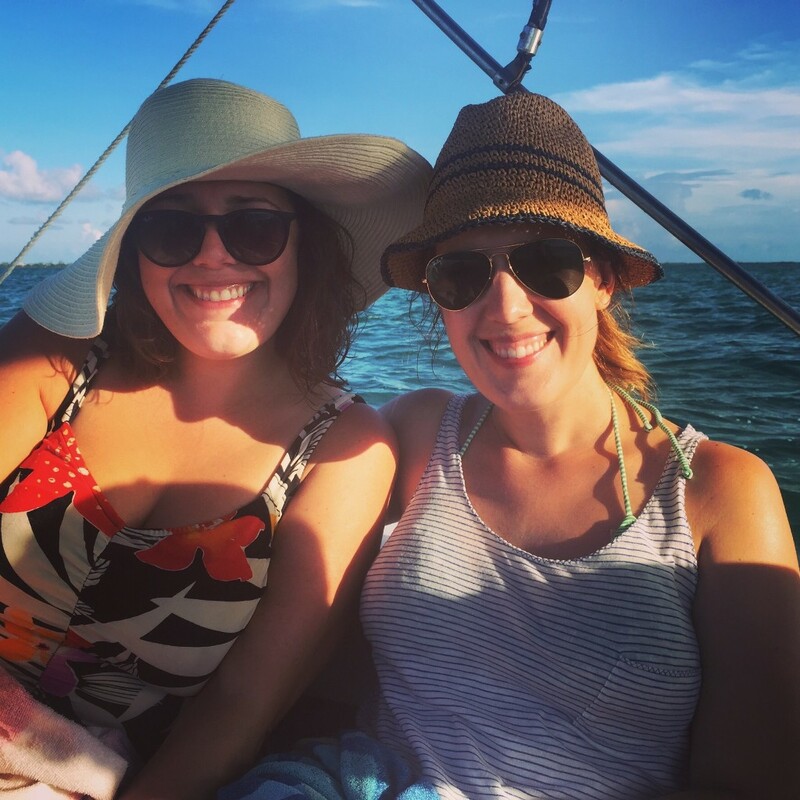 Once back on board you can rinse off with fresh water and settle in for the sail to Caye Caulker. 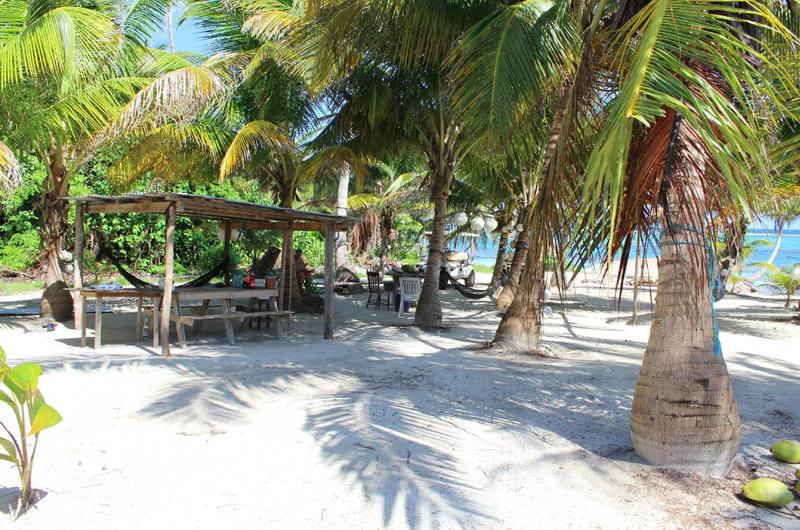 When you reach Caye Caulker you will have time to have lunch on your own and explore our quaint sister island. 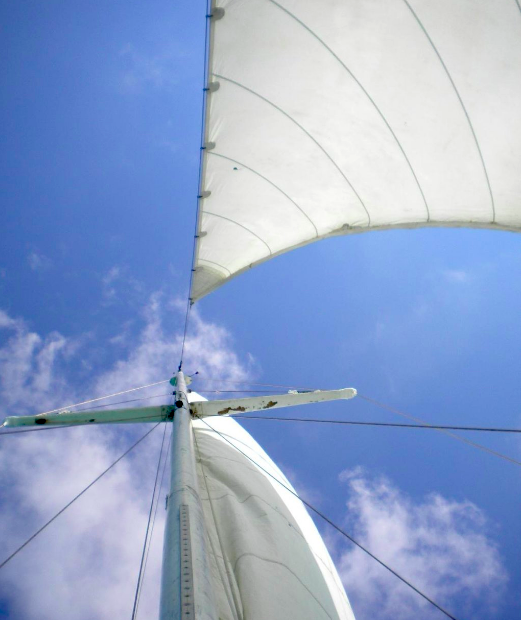 After lunch, enjoy a leisurely sail back to San Pedro. There are a couple of different variations on this trip. 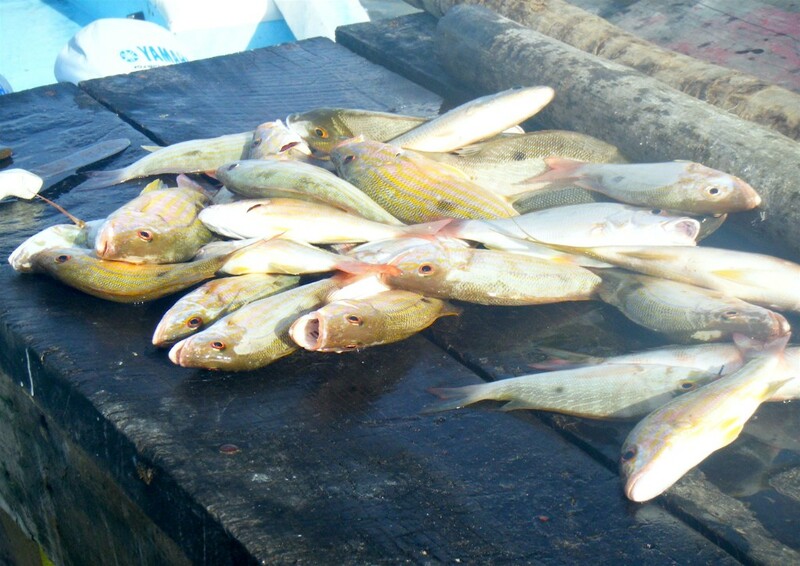 One includes lunch and a sunset cruise on the way back to San Pedro. Another is geared more towards the party crowd and is not recommended for children. 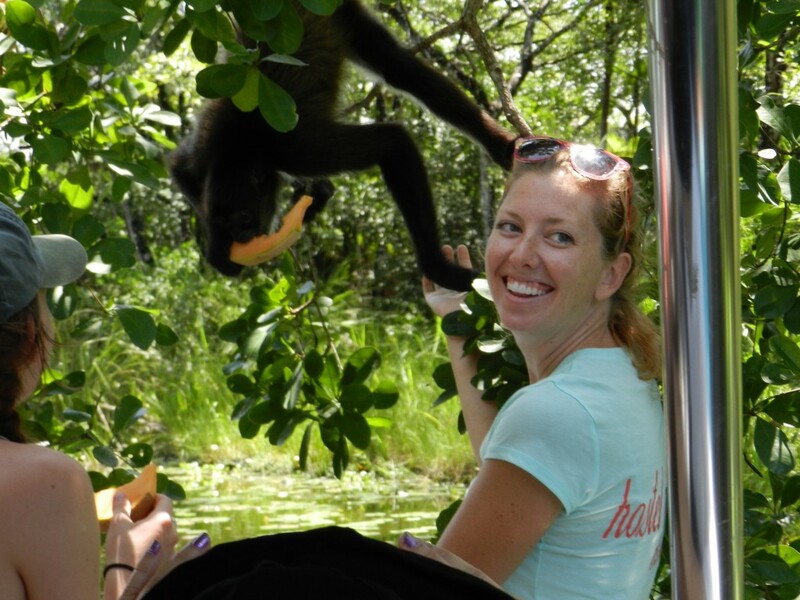 All options include beer, soda, rum punch, bottled water, a snack and fresh fruit. 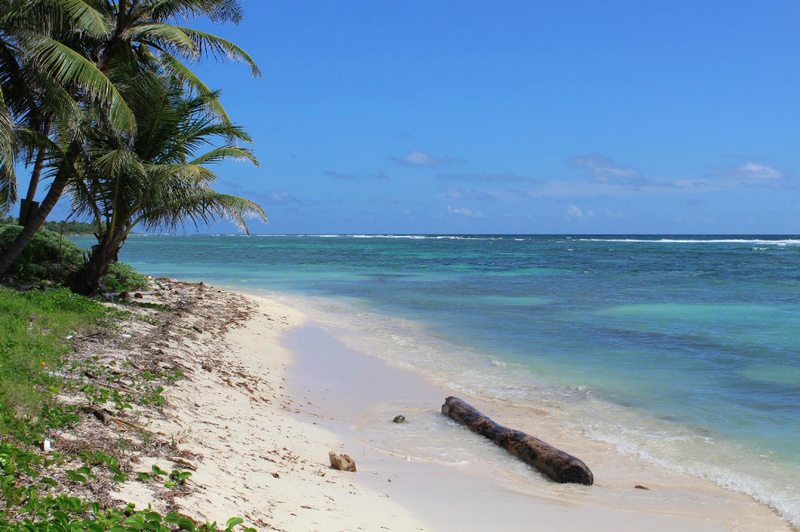 Your day begins sailing north to Tres Cocos for our first snorkel. 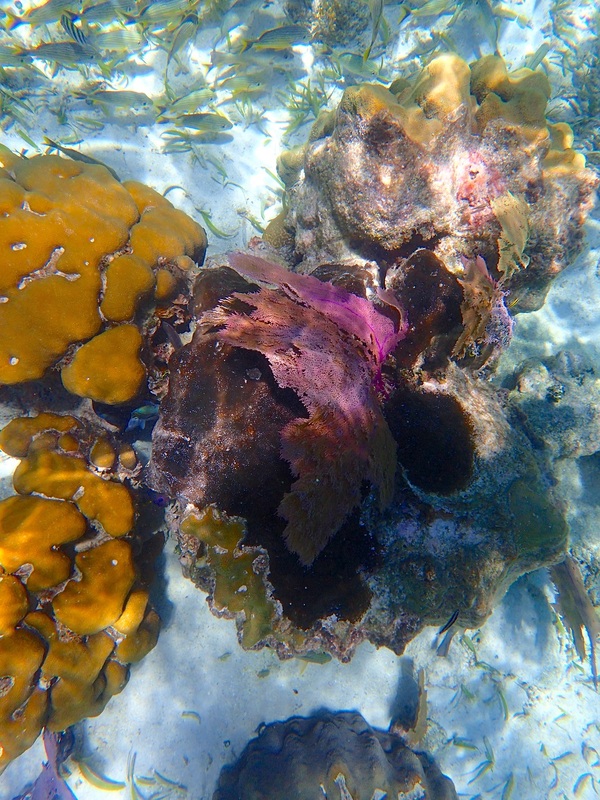 Then we sail on to Mexico Rocks for our second snorkel stop where you will encounter larger coral heads and smaller fish. 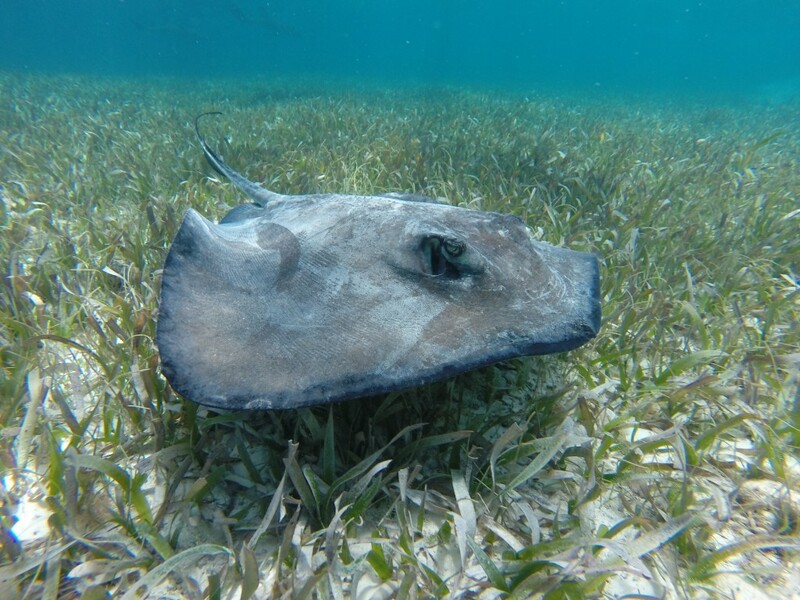 Now that Mexico Rocks has become a part of the protected marine reserve it is quite common to see sea turtles, sharks, and stingrays too. 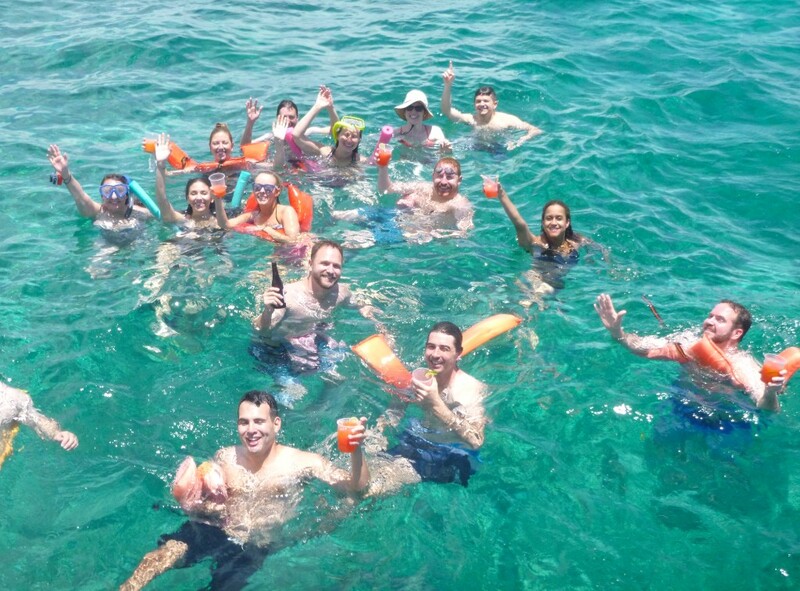 After snorkeling, you can rinse off with fresh water and sit back and enjoy the sail up north to a beach called Habaneros. 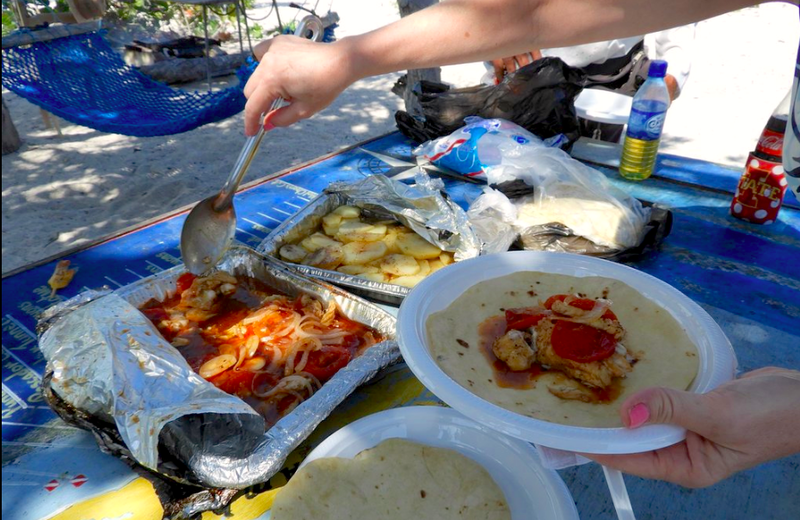 Our guides will then prepare a delicious beach barbecue. Departs at 4:45 pm & returns 7:15 pm. 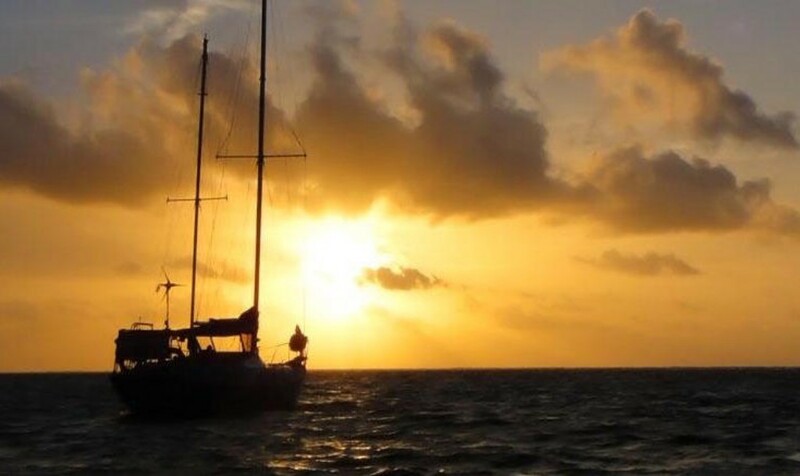 Sit back and watch the sunset on the pristine Caribbean Sea. 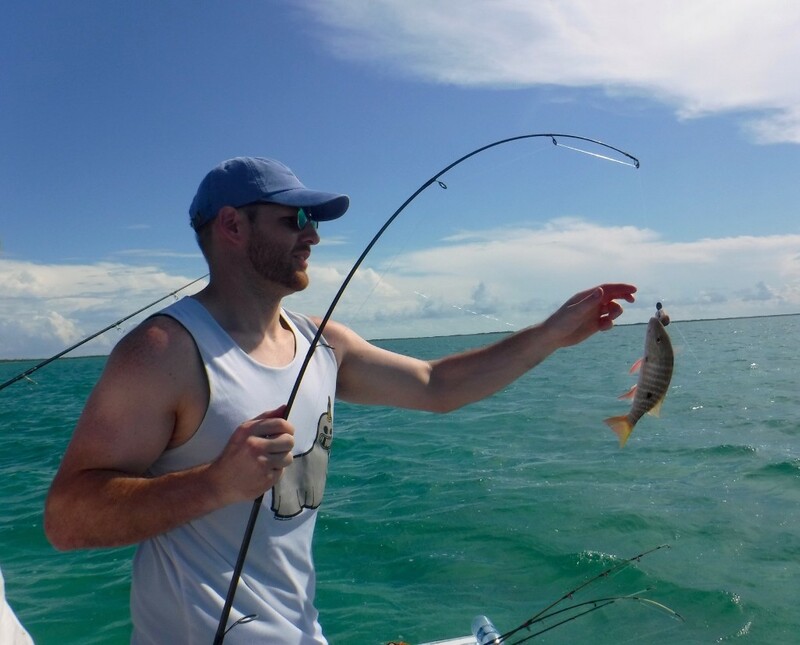 Includes: Beer, sodas, rum punch, bottled water, fresh fruit and shrimp cocktail. 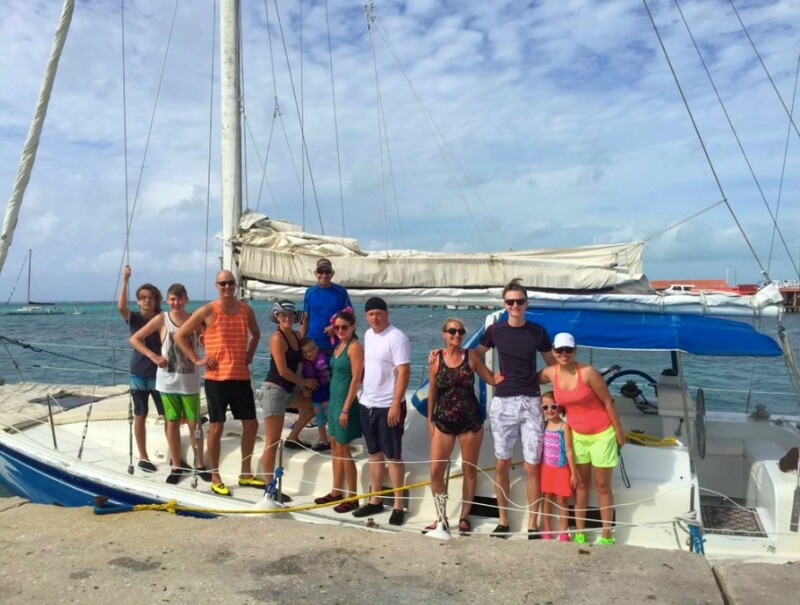 Catamaran sailing trip prices vary depending on availability. 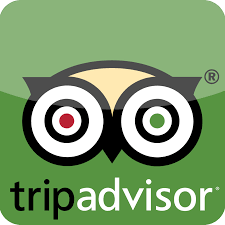 Please contact us to find out the best rates for your dates. 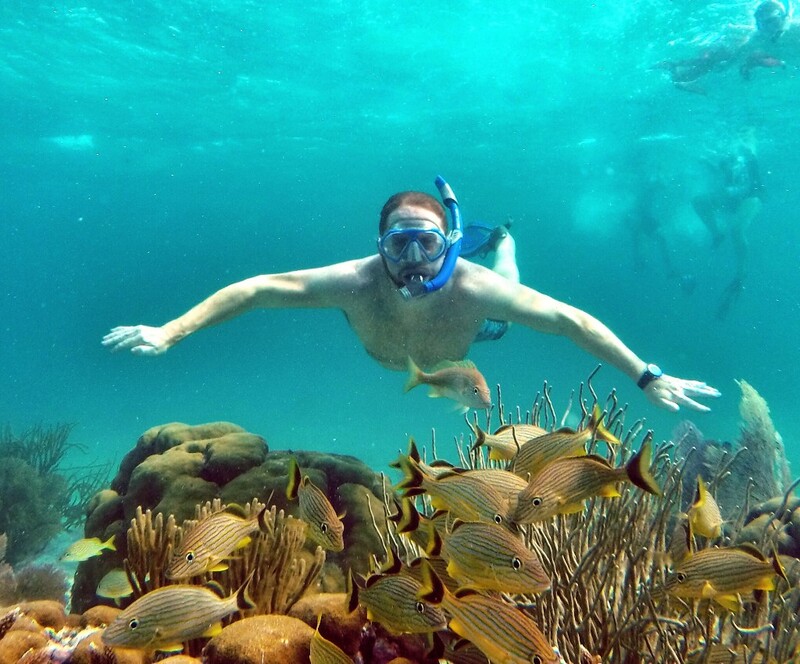 Scuba diving takes you to the depths of the Caribbean Sea, where you can observe rare marine creatures in their natural habitat. 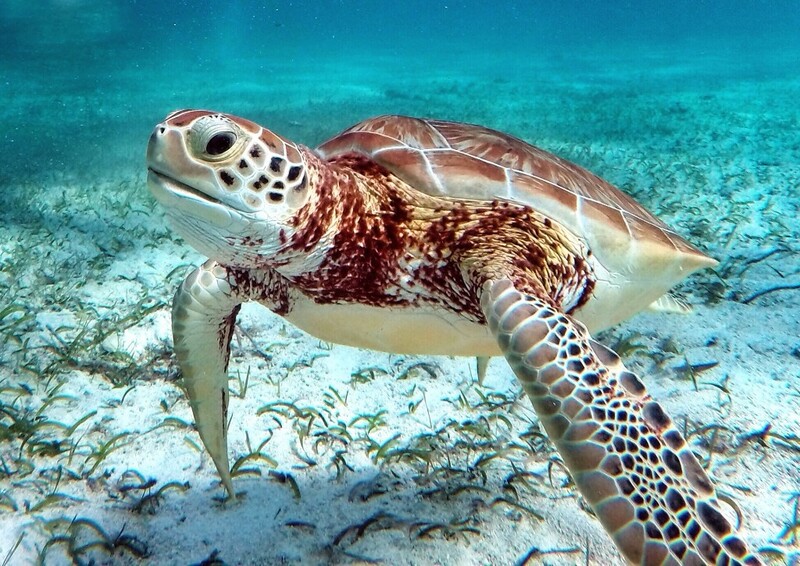 Given the reef’s proximity to Ambergris Caye, there are a vast array of diving spots teeming with marine life just minutes away from Parham Plaza Hotel by boat. 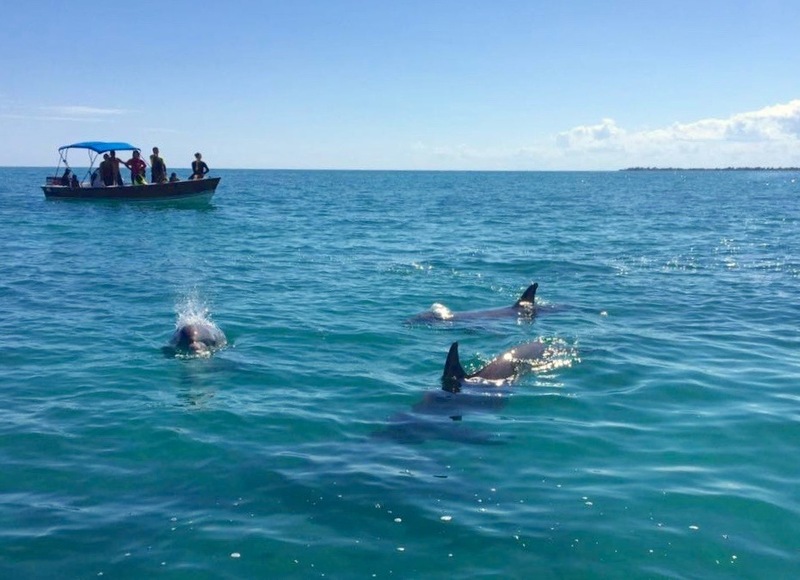 However, we can also arrange various full day diving excursions, including trips to the famed Great Blue Hole, which is on any diver’s bucket list and is actually a UNESCO world heritage site. 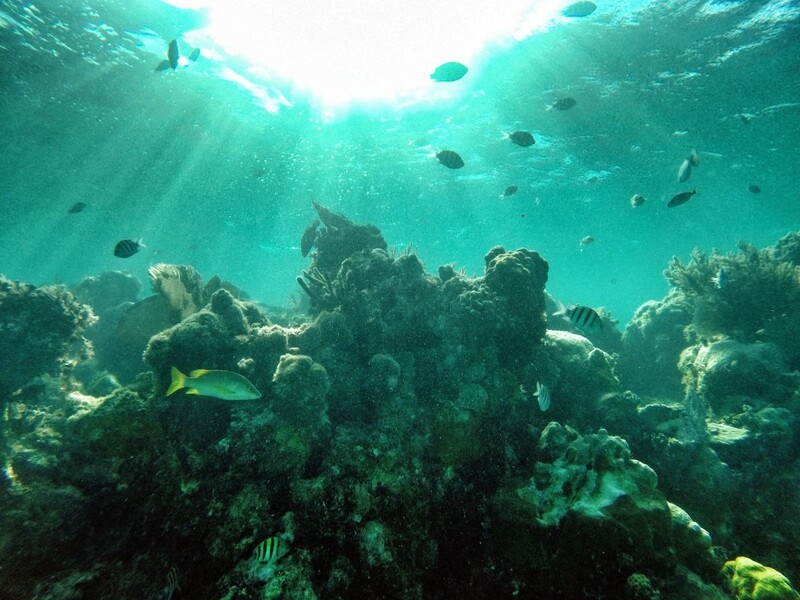 We can accommodate all levels of divers, from novice to professional, and even help you get certified. 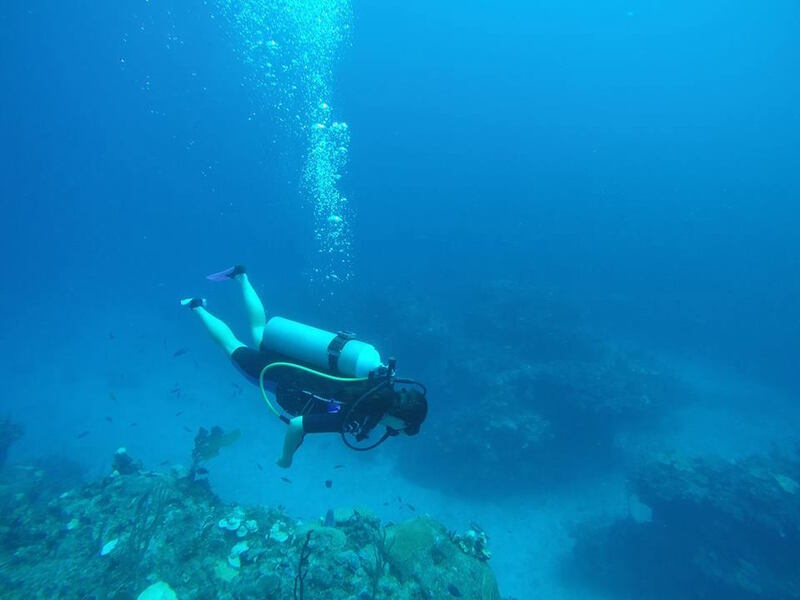 Diving options include one or two-tank local dives, one tank dive at Hol Chan Marine Reserve, night dive at Hol Chan Marine Reserve, the Great Blue Hole, Turneffe Islands, and more. Gear rental is included in the prices shown. 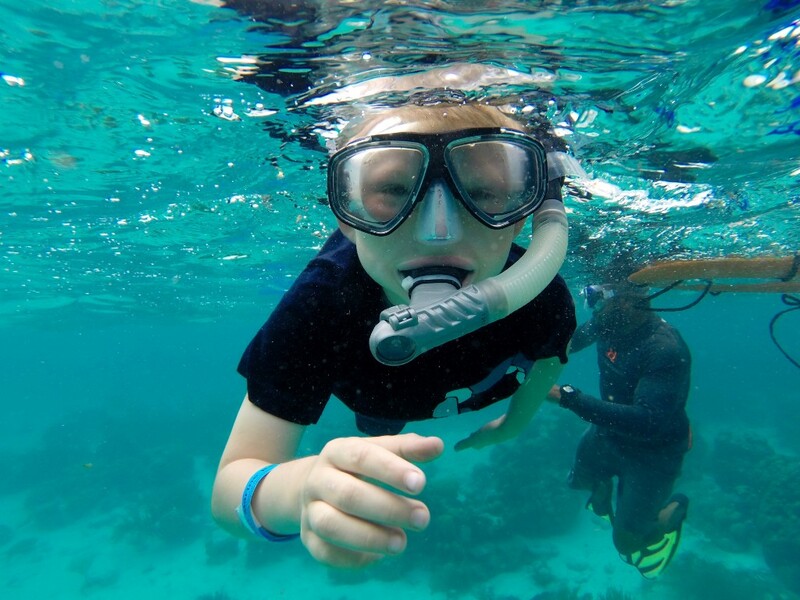 If you are not certified to dive, snorkeling is the next best way to experience the colorful wonders of the Belize Barrier Reef. 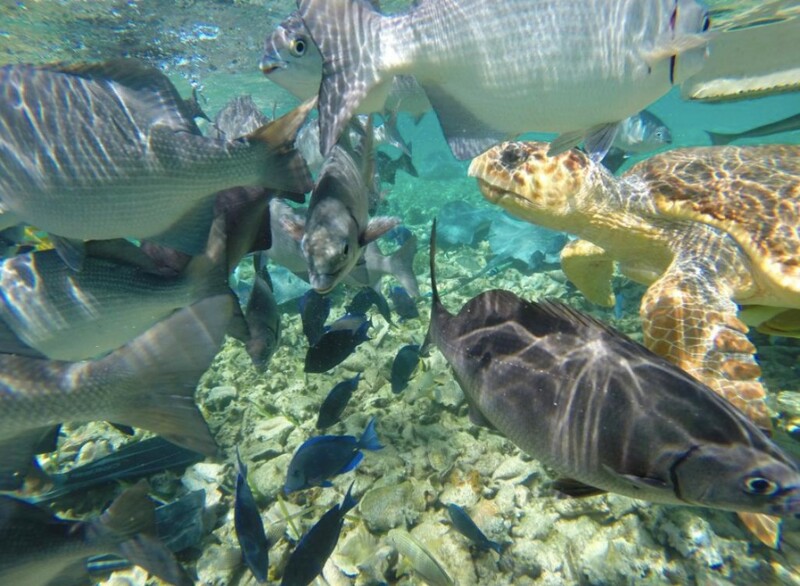 There are many great snorkeling spots along the reef, including the Hol Chan Marine Reserve, Shark Ray Alley, Coral Gardens, Mexico Rocks and the Great Blue Hole. 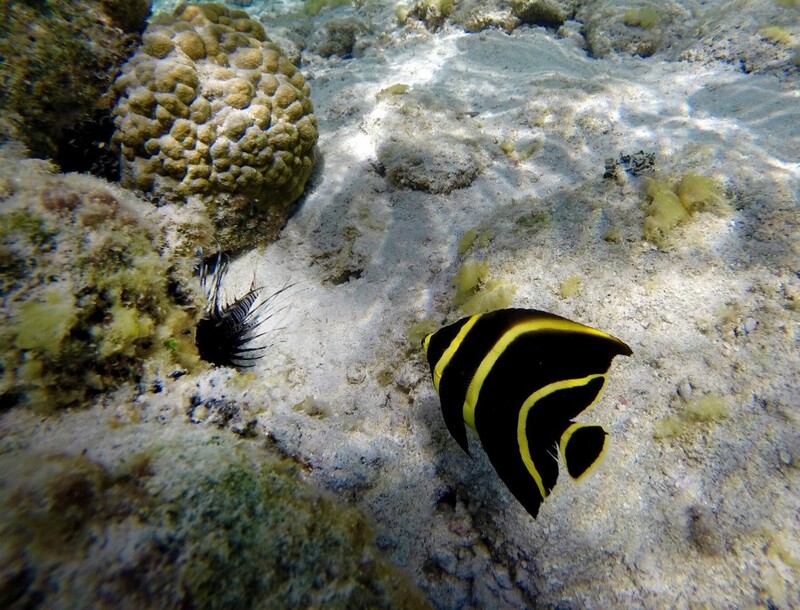 Snorkeling along the reef, you can see an abundance of wildlife, including fish of all different sizes, shapes, and colors. 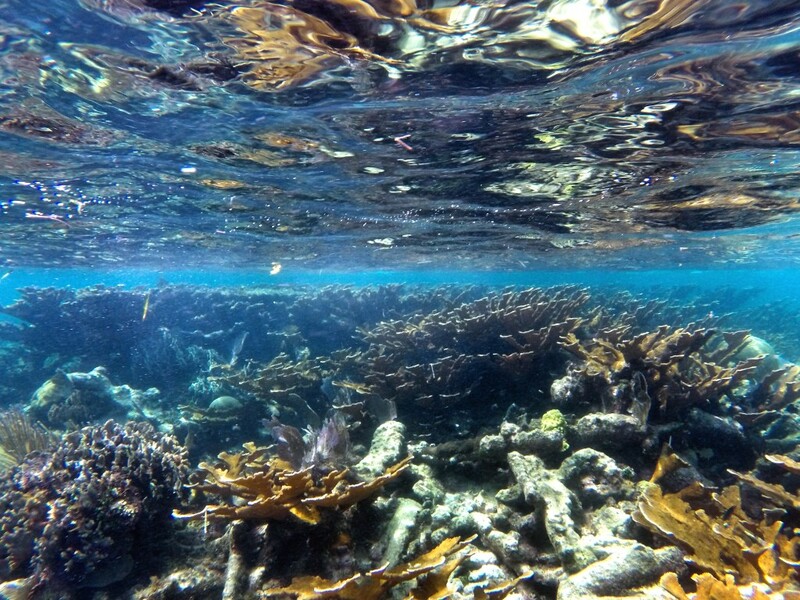 The beautiful variety of coral provides a habitat for this sea life and is the backbone of its entire ecosystem. 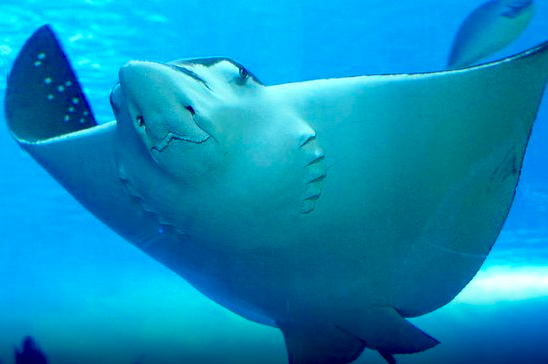 At Shark Ray Alley, you can swim with nurse sharks and stingrays. 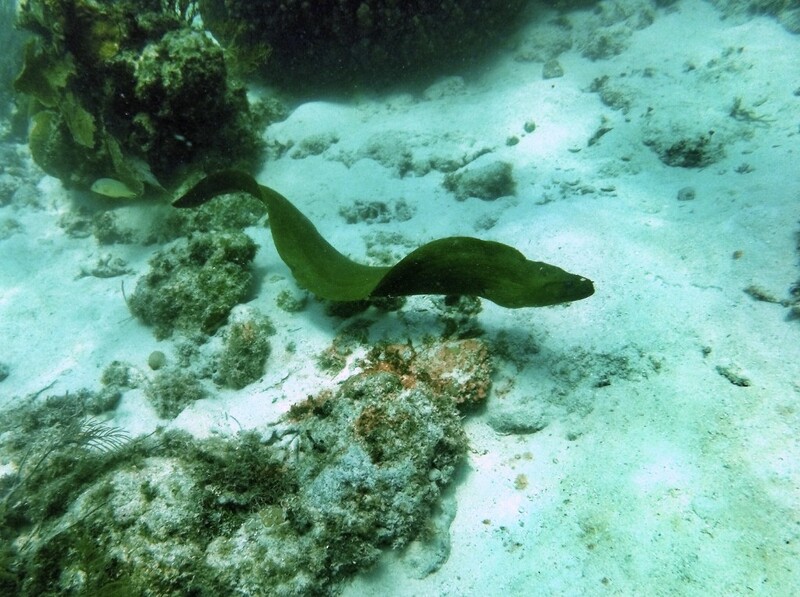 At Hol Chan, you can see impressive schools of fish, eagle rays, moray eels, sea turtles, and more. 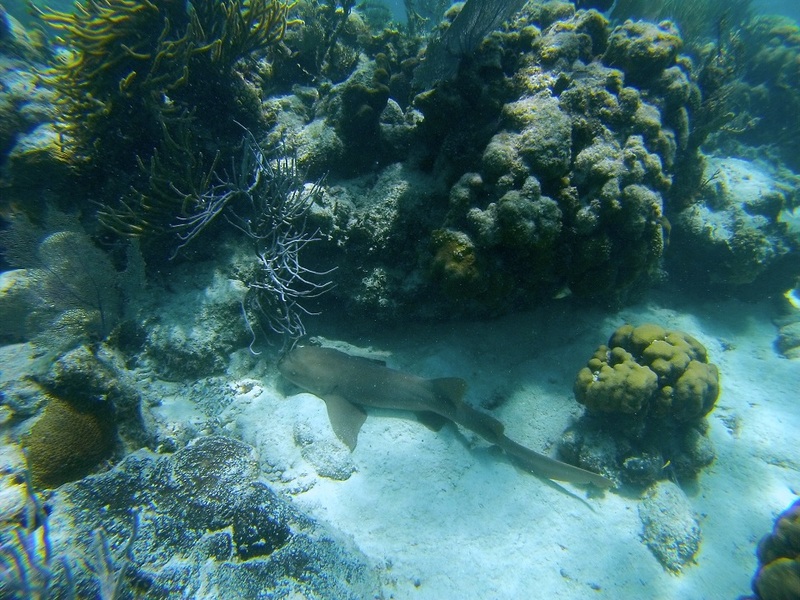 At the Blue Hole, you can see many species of sharks, as well as incredible underwater stalactites and stalagmites. 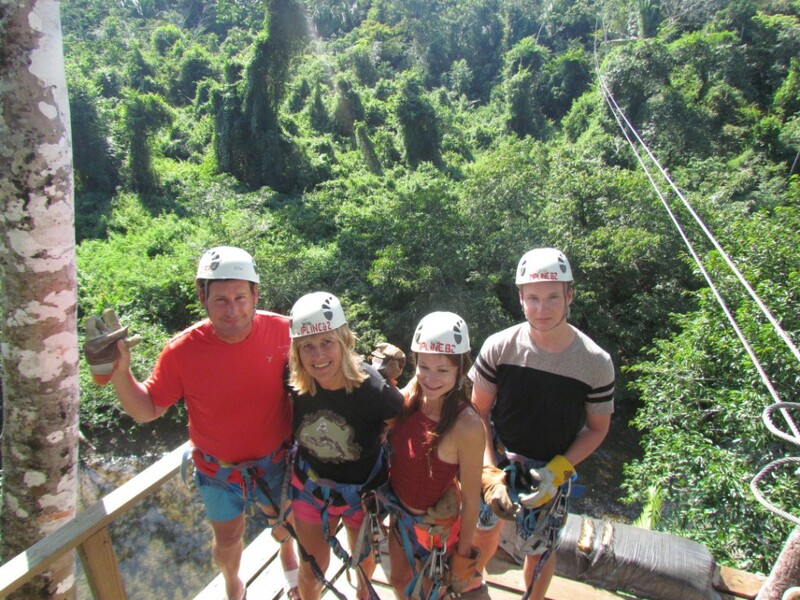 Zip lining is another tour that takes you to the heart of Belize’s jungle. 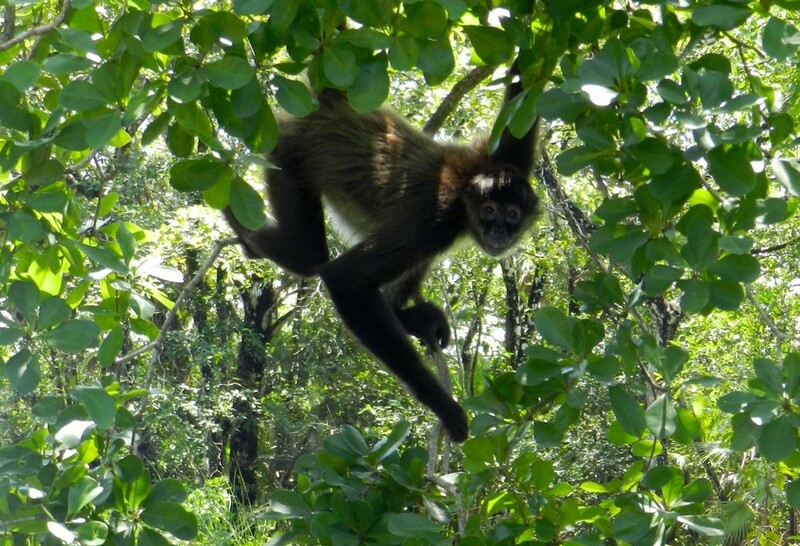 Get a bird’s eye view of the jungle while zipping from tree canopy to tree canopy and listening to the sounds of the jungle. 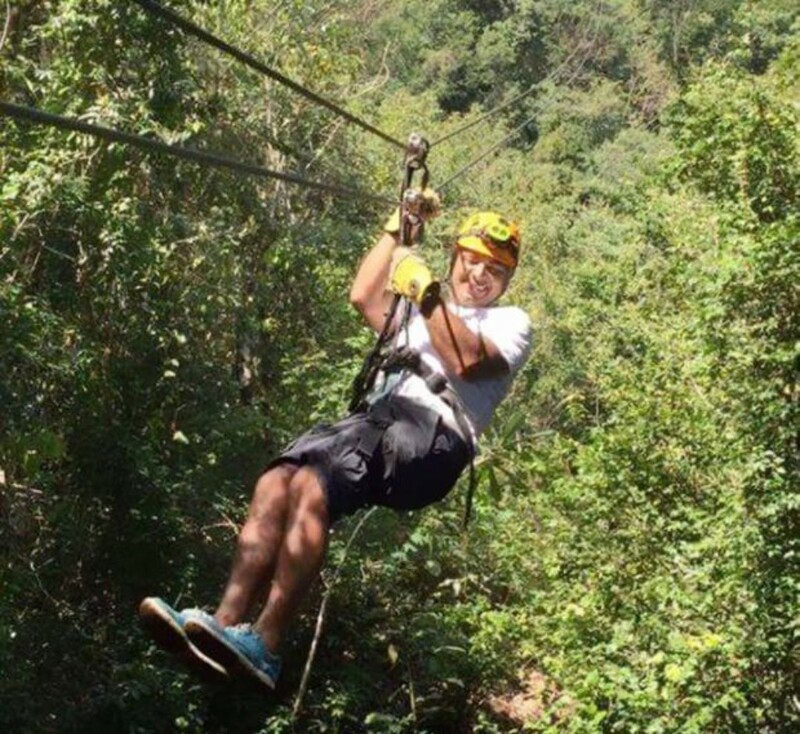 Zip lining starts by strapping your equipment on and climbing the first platform from where you will be suspended on a cable, usually made of stainless steel, mounted on an incline. Double cables are used for safety. 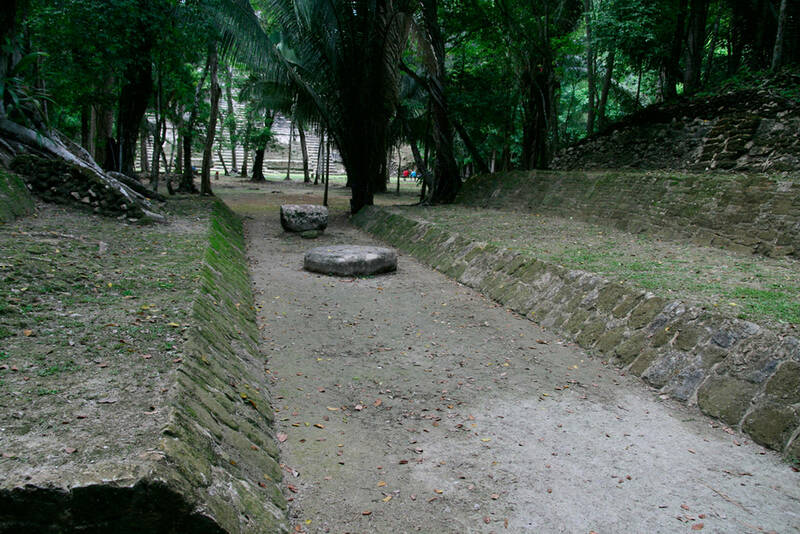 Your weight and gravity will propel you to the bottom of the incline to the next platform. 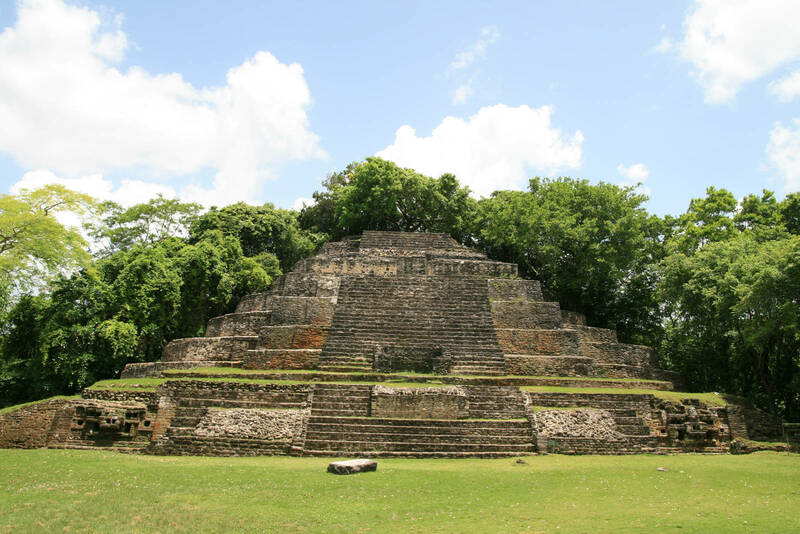 This tour is usually coupled with one or more other excellent jungle tours, such as cave tubing or visiting Mayan temples. 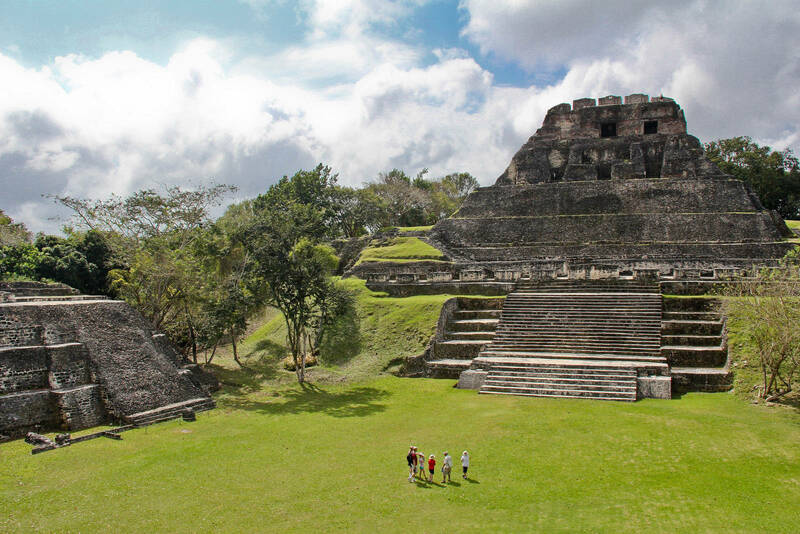 This mainland tour boasts the tallest zip lining concourse in Central America! 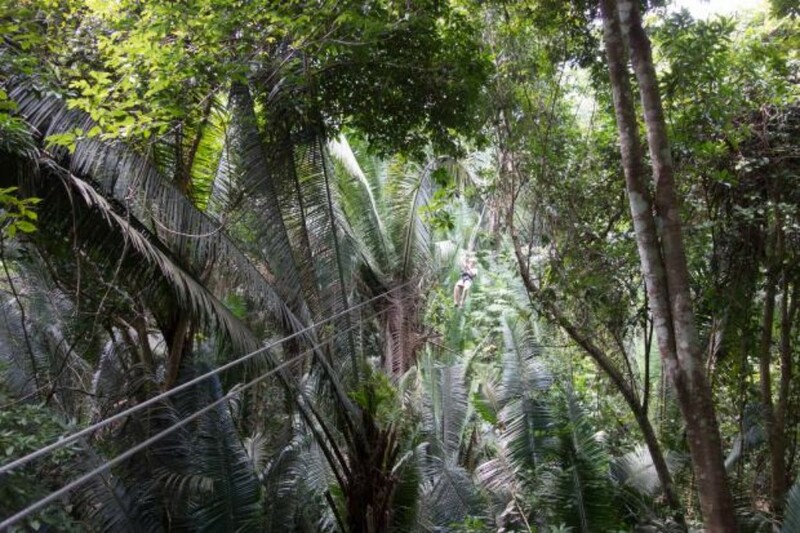 The tallest zip line is over 800 feet. 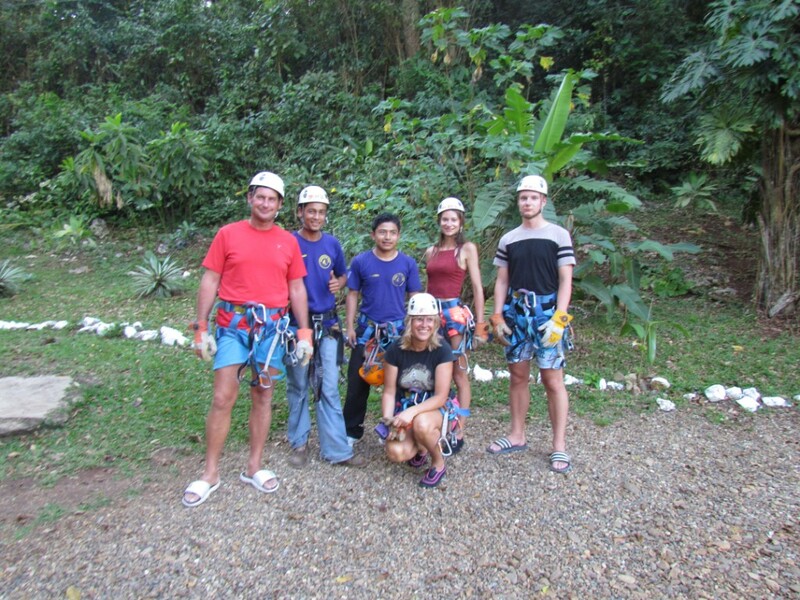 After the first three zip lines, you walk for 14 minutes to the first rappel into a dry cave that is about 30 feet deep. 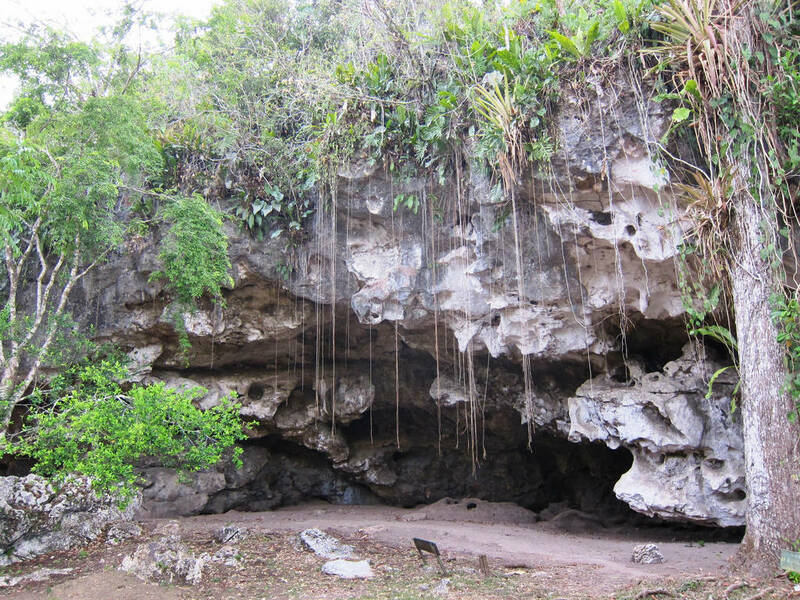 Explore this cave, which was used by the Mayas for ceremonies. 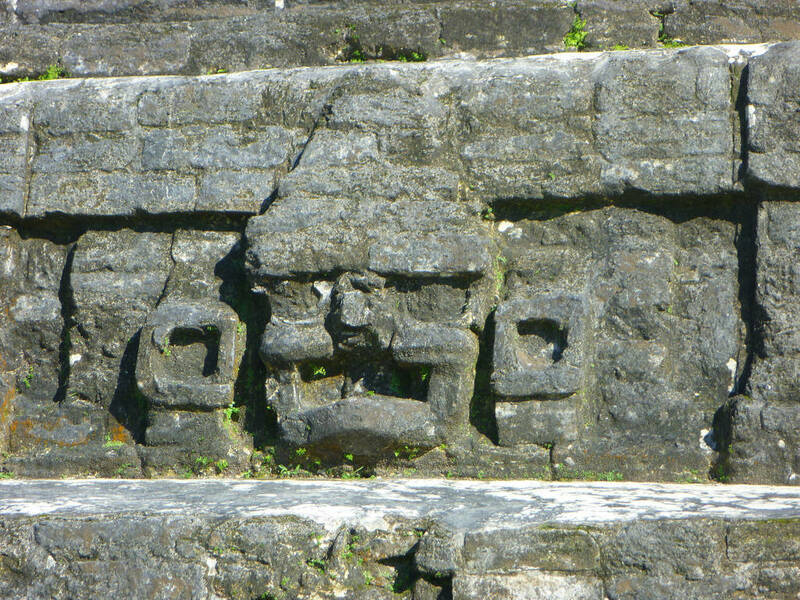 Evidence of these ceremonies can still be found in the cave in the form of pottery. 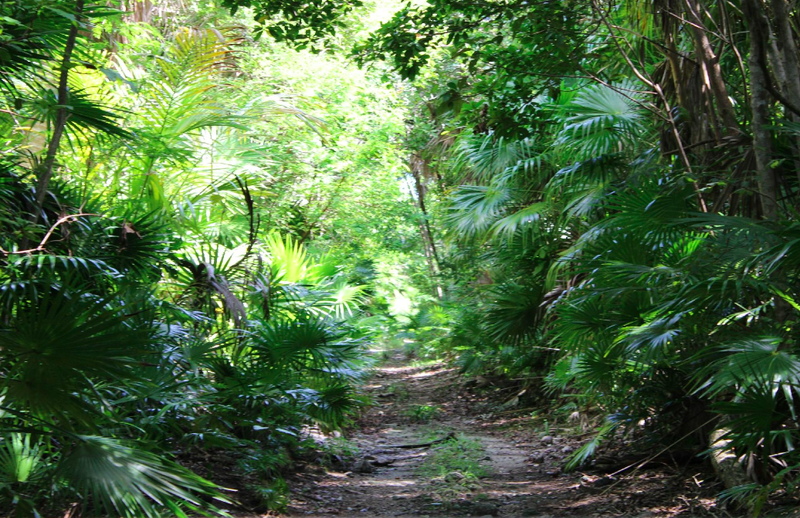 The second walk is about 10 minutes up the mountain to the highest zip line, which takes you to a blanket bridge over the rainforest. 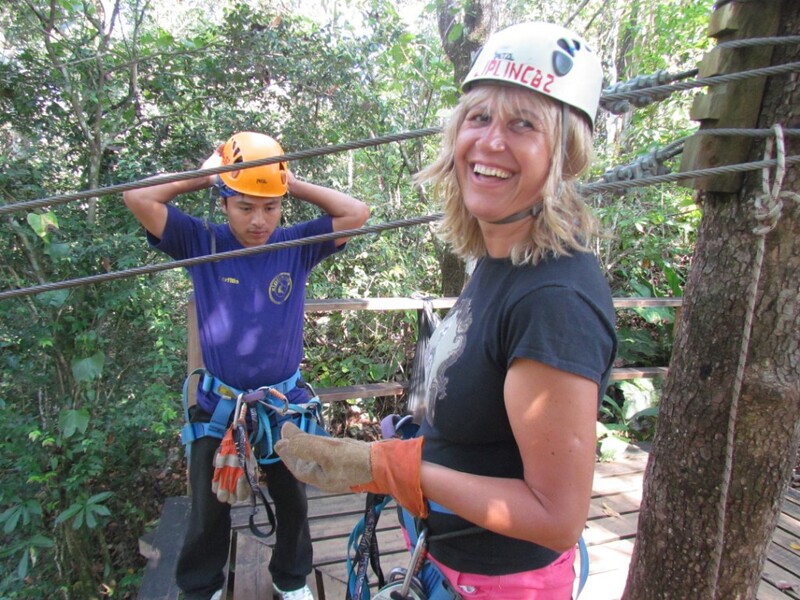 After another 10-minute walk, you will rappel down another drop that is over 140 feet high. 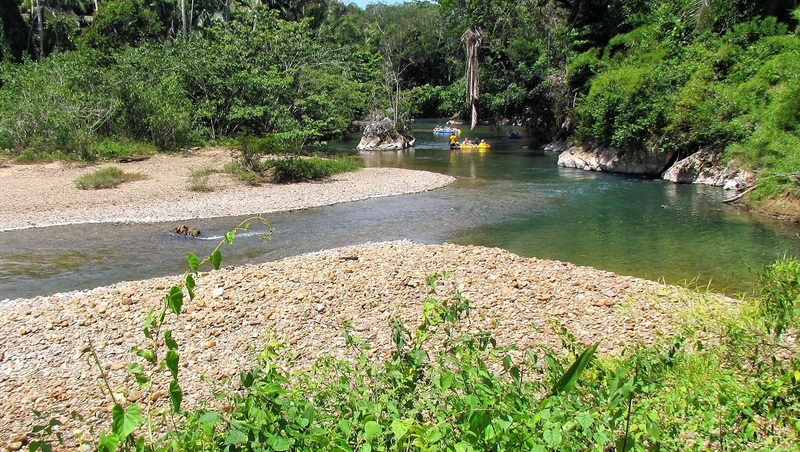 Finally, you’ll take a short walk down to the river to go cave tubing. The tour includes lunch, water and sodas, equipment, park fees and three different tour guides along the tour.